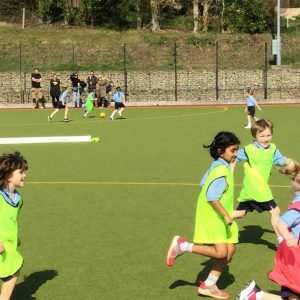 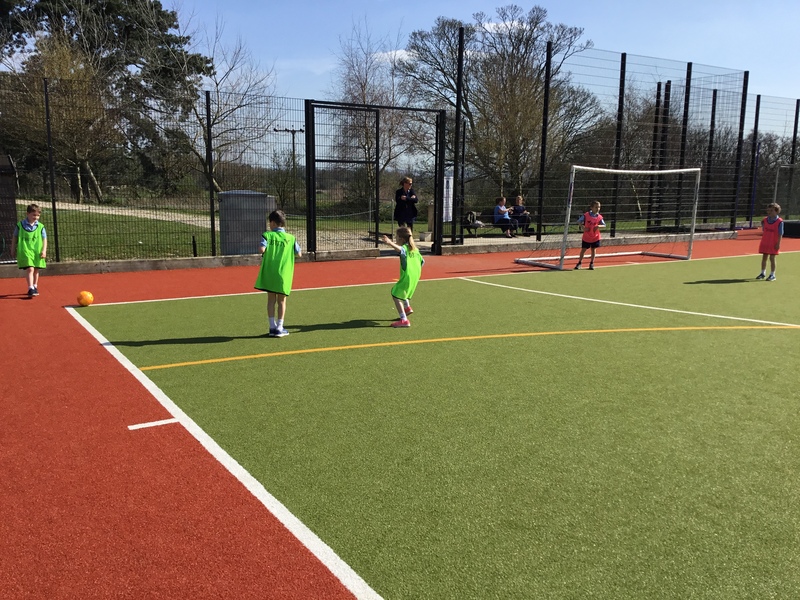 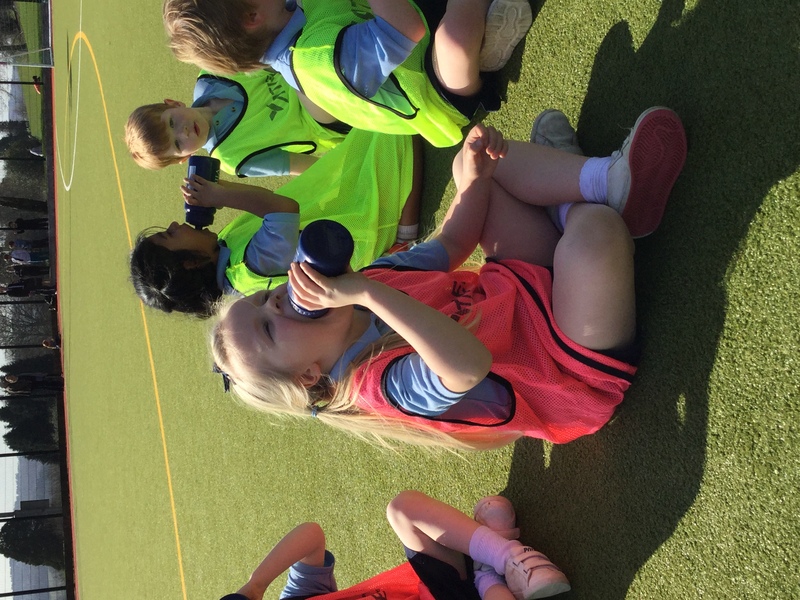 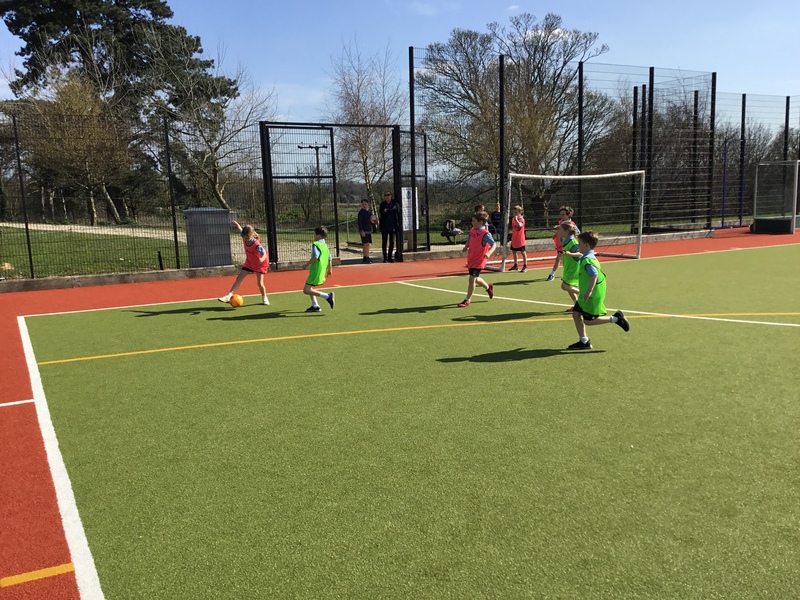 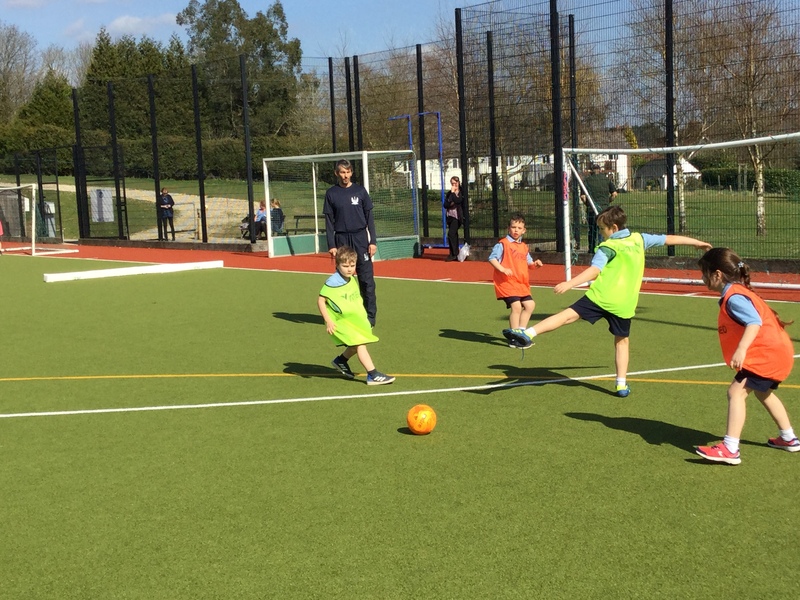 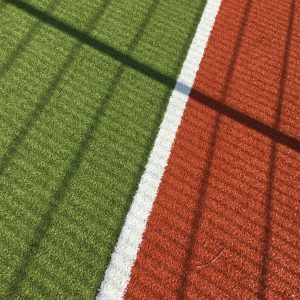 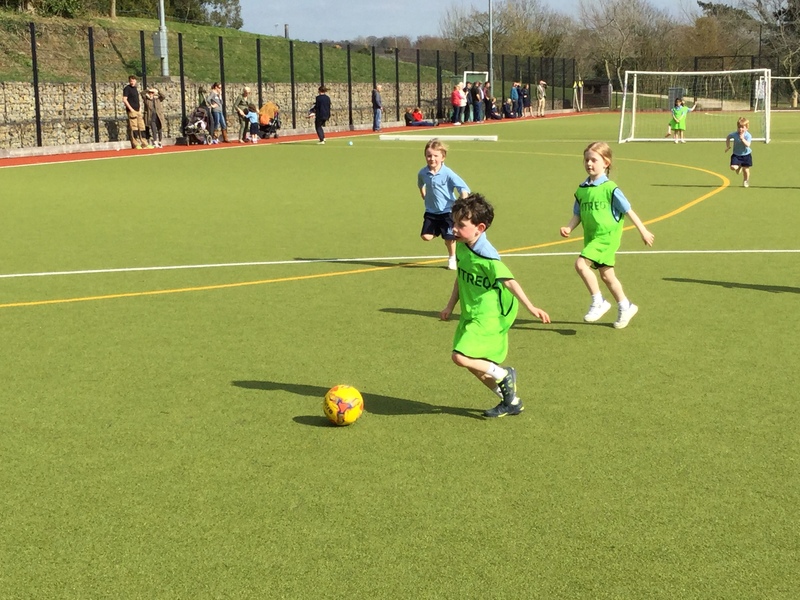 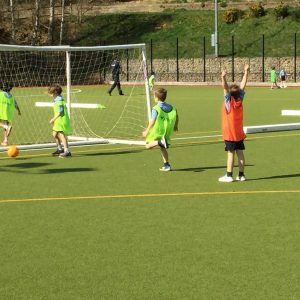 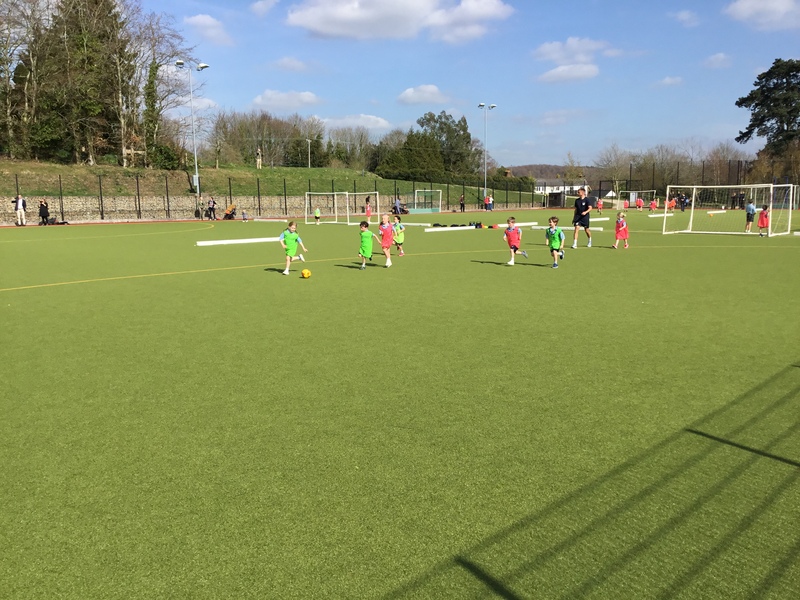 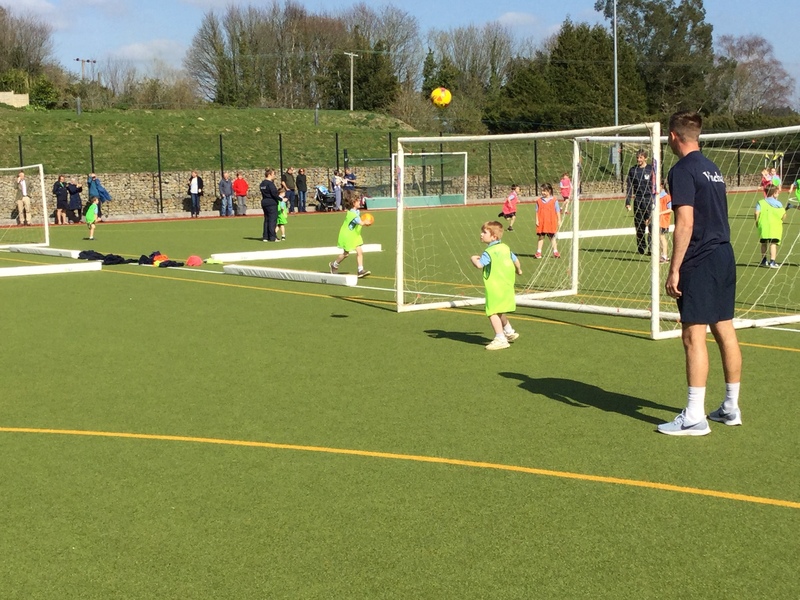 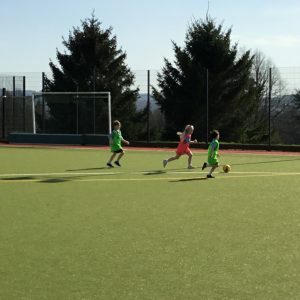 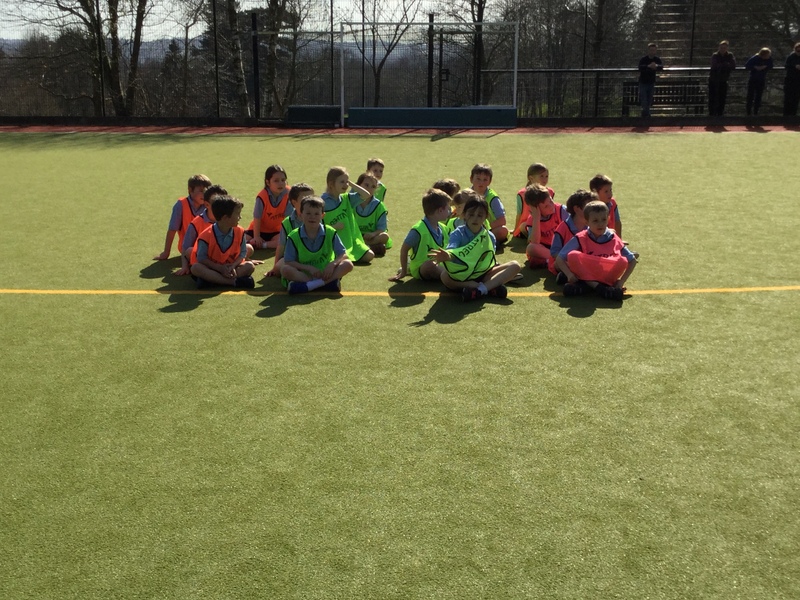 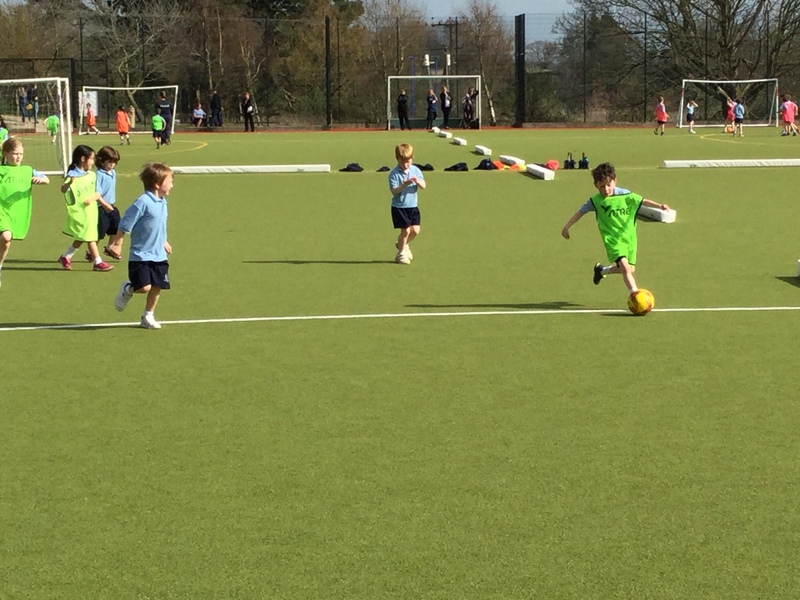 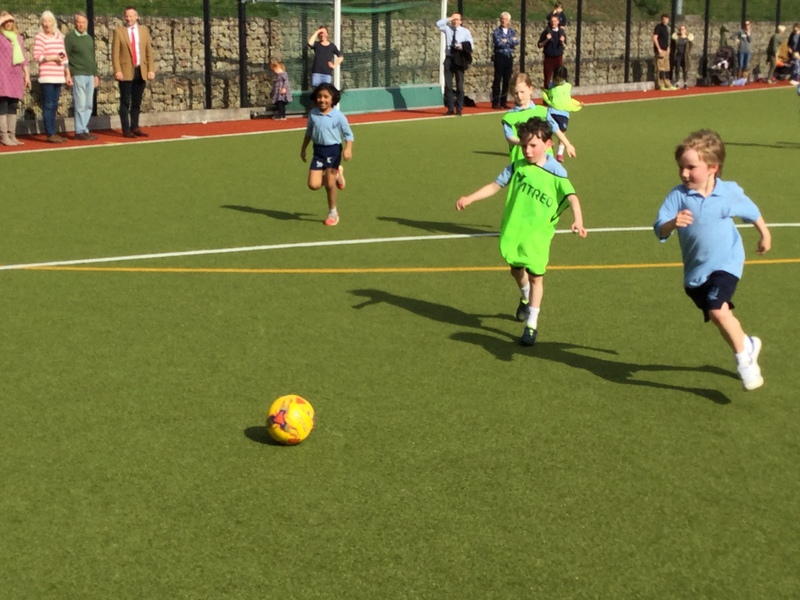 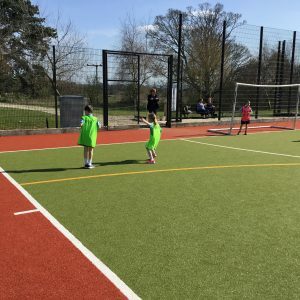 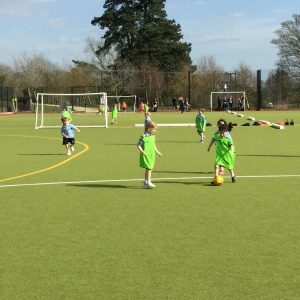 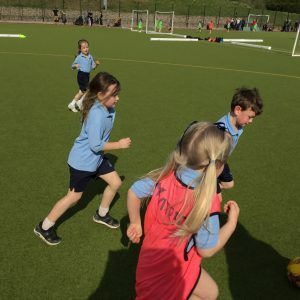 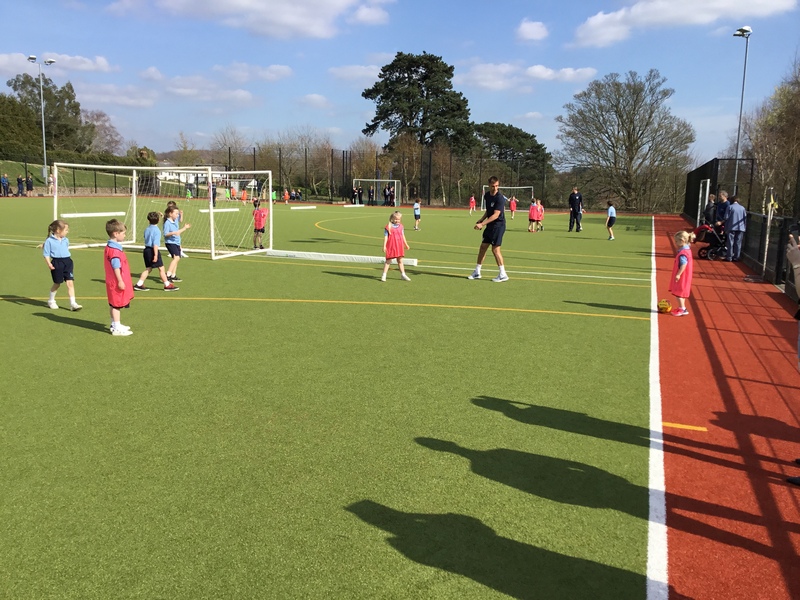 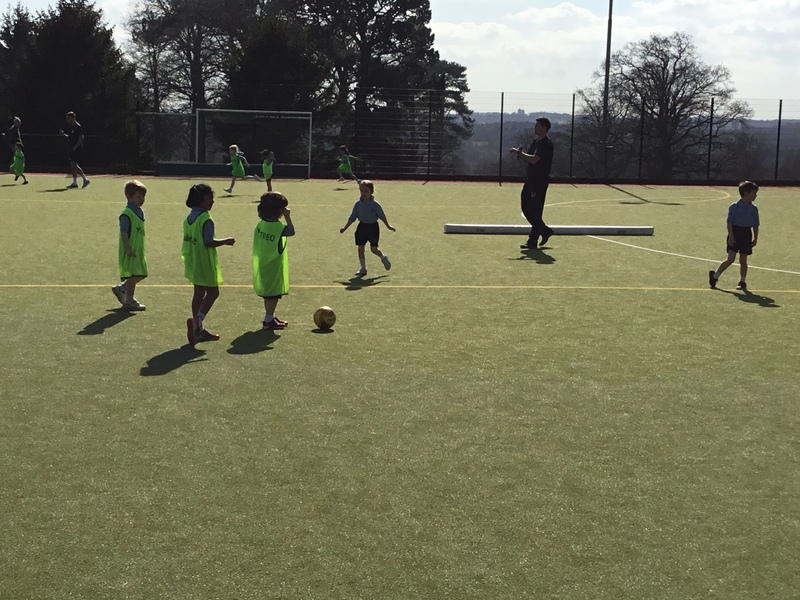 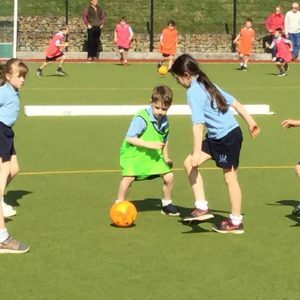 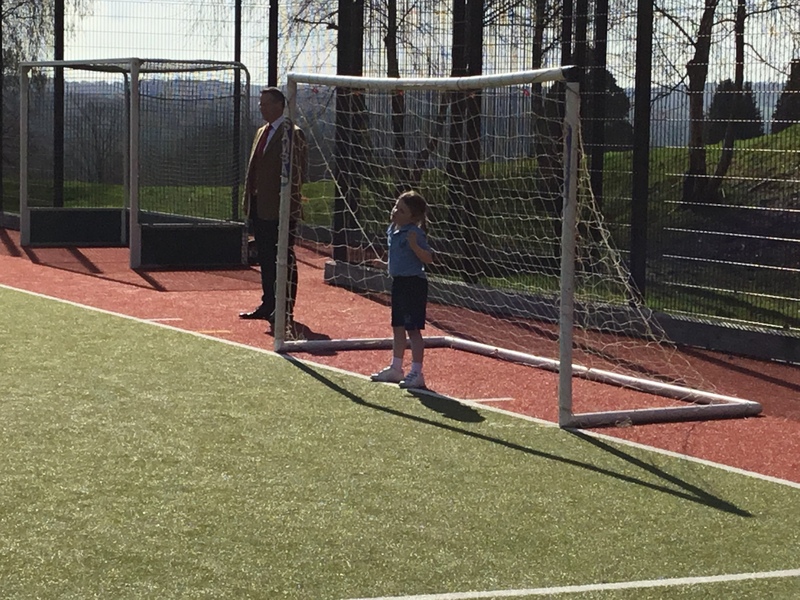 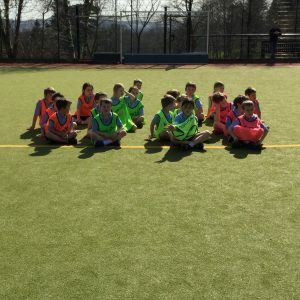 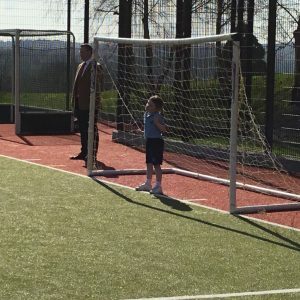 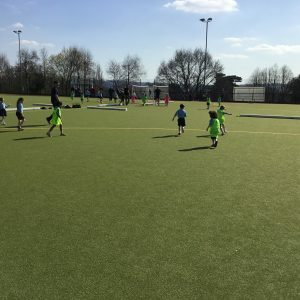 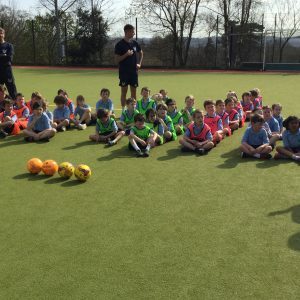 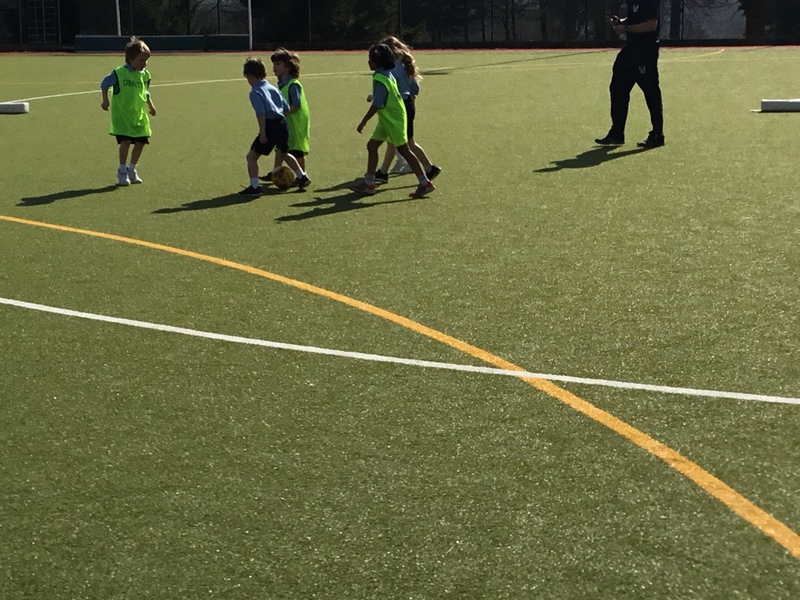 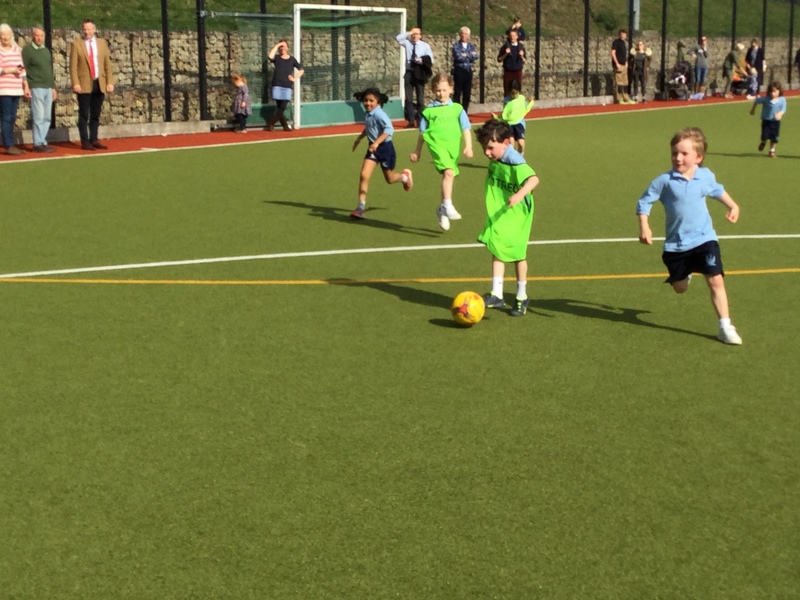 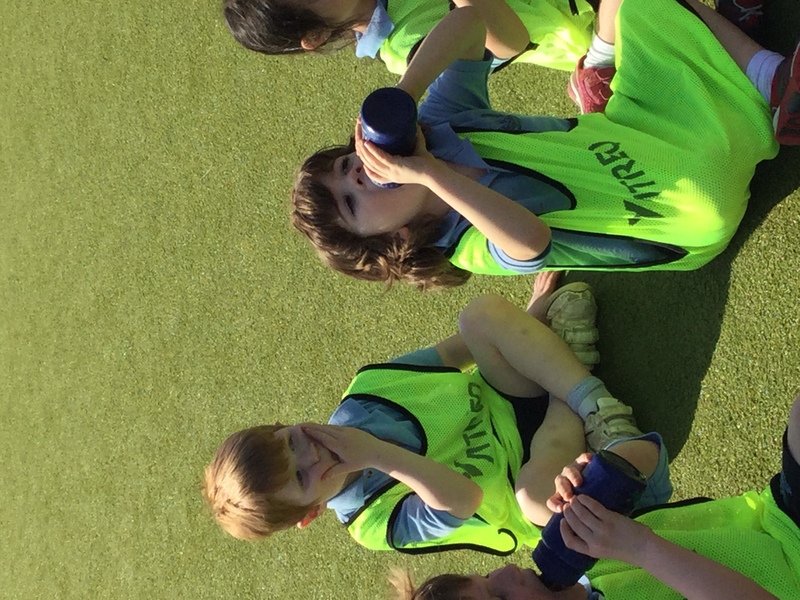 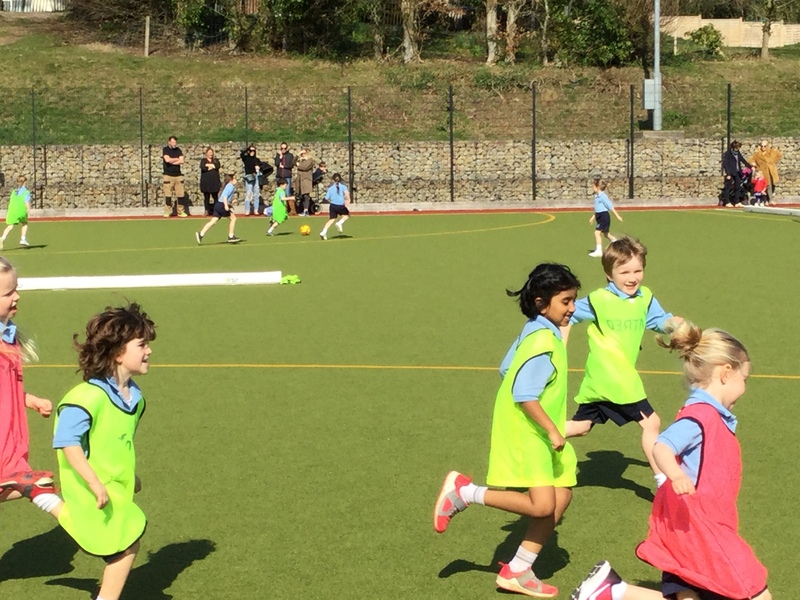 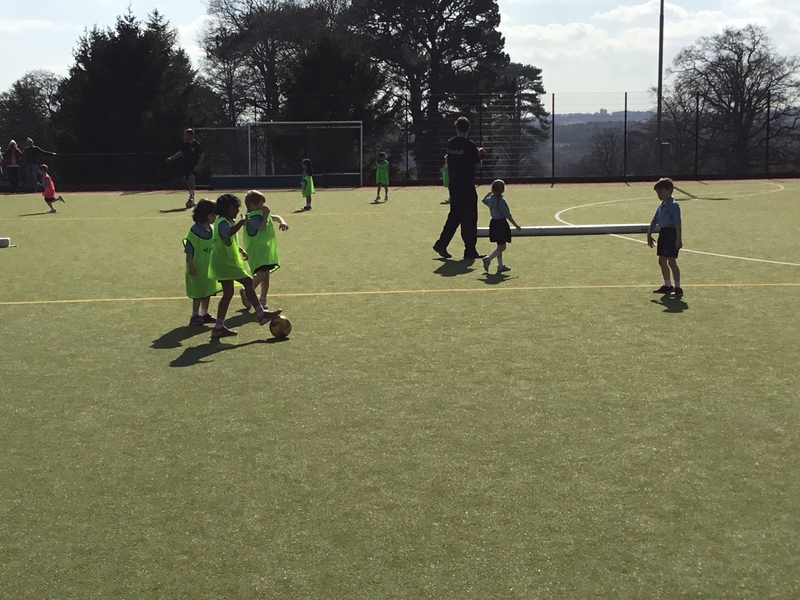 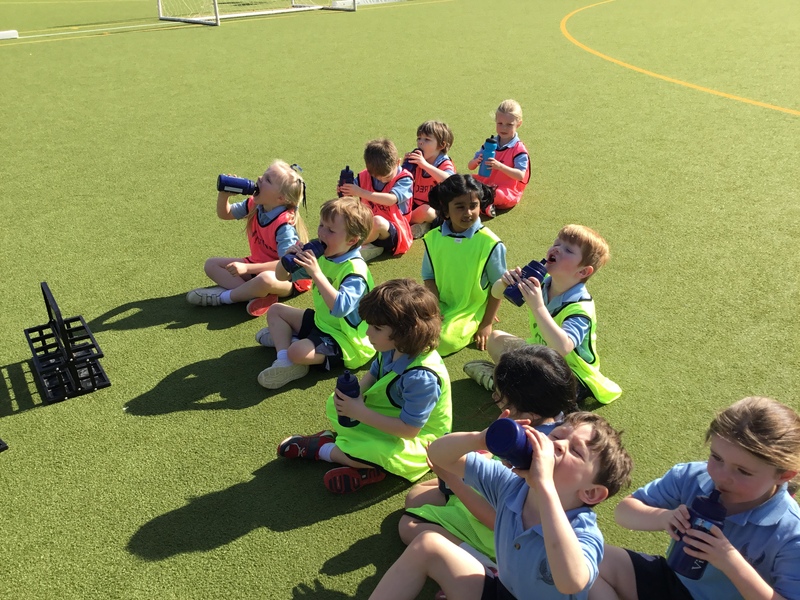 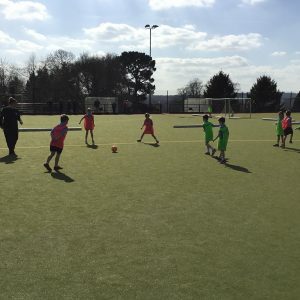 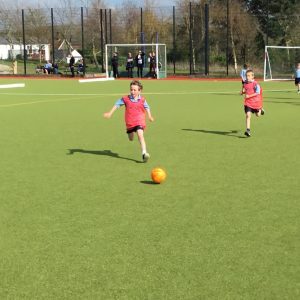 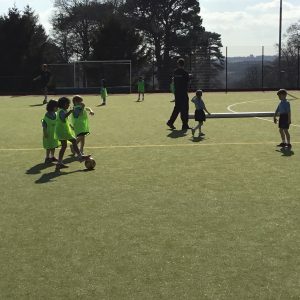 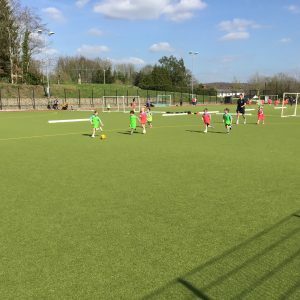 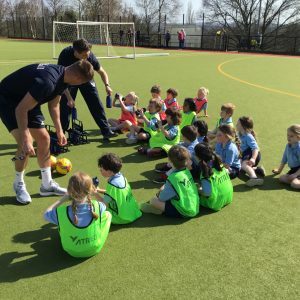 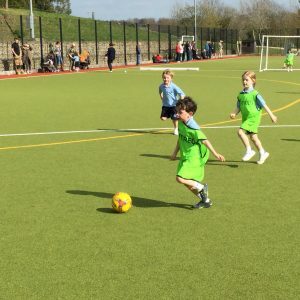 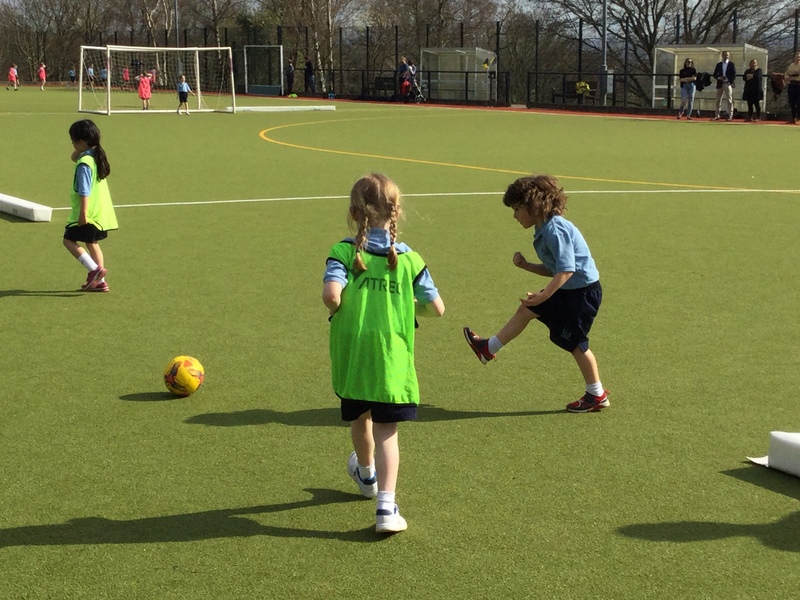 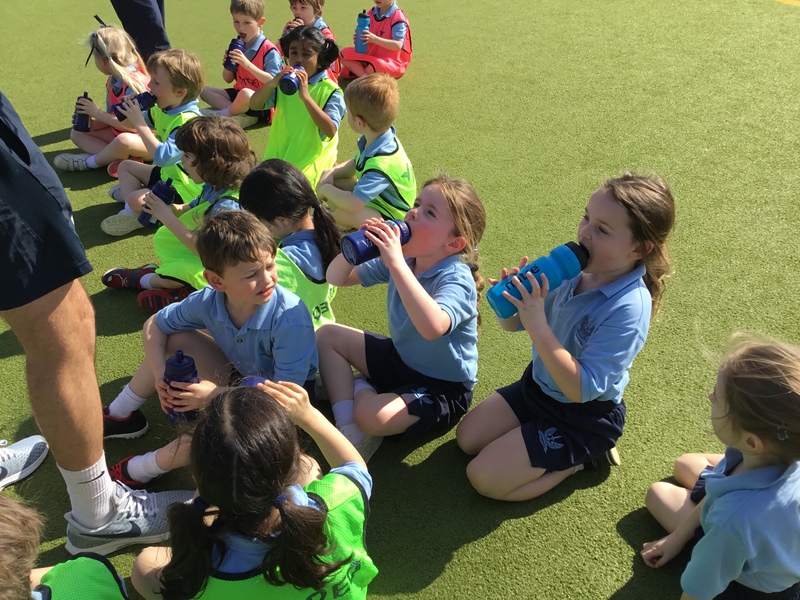 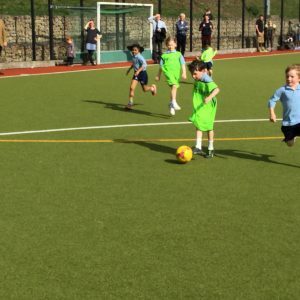 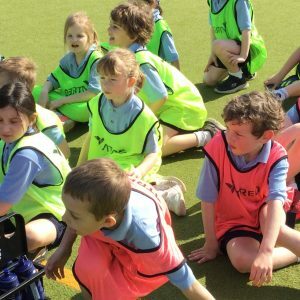 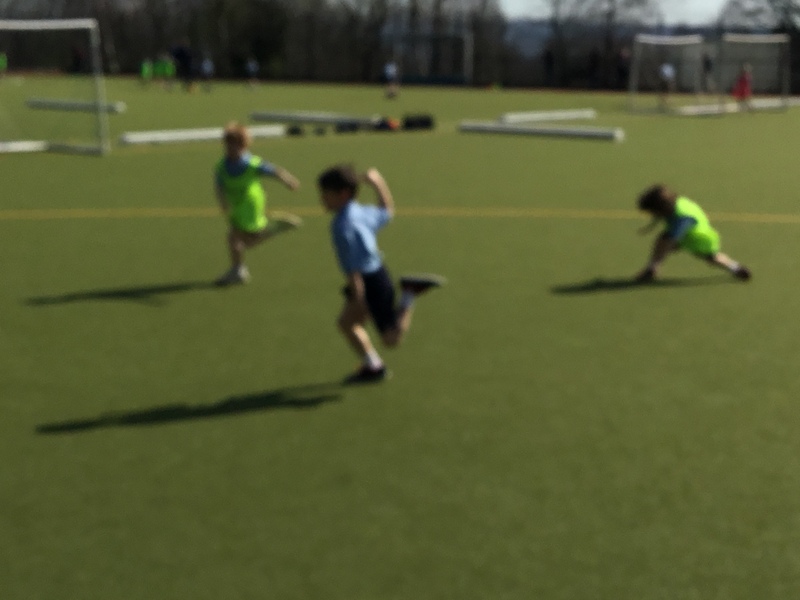 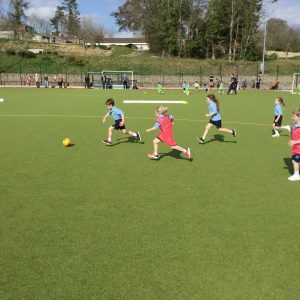 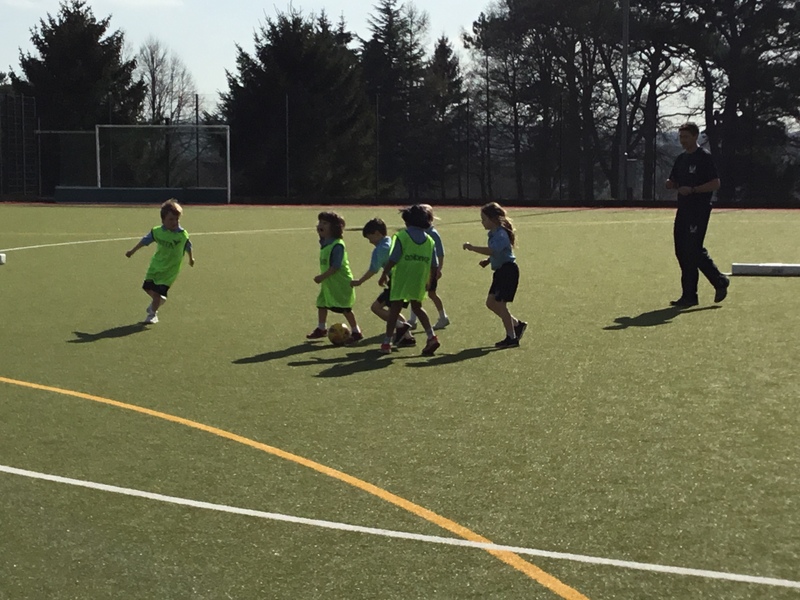 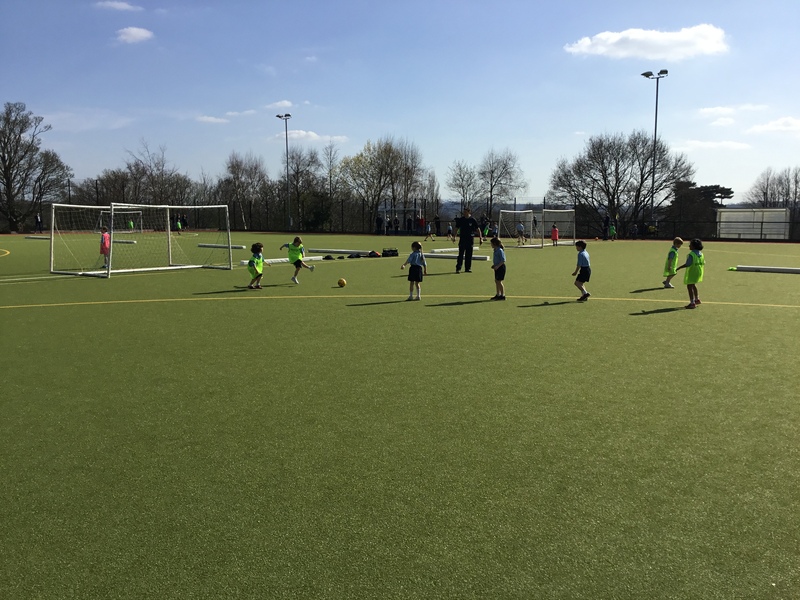 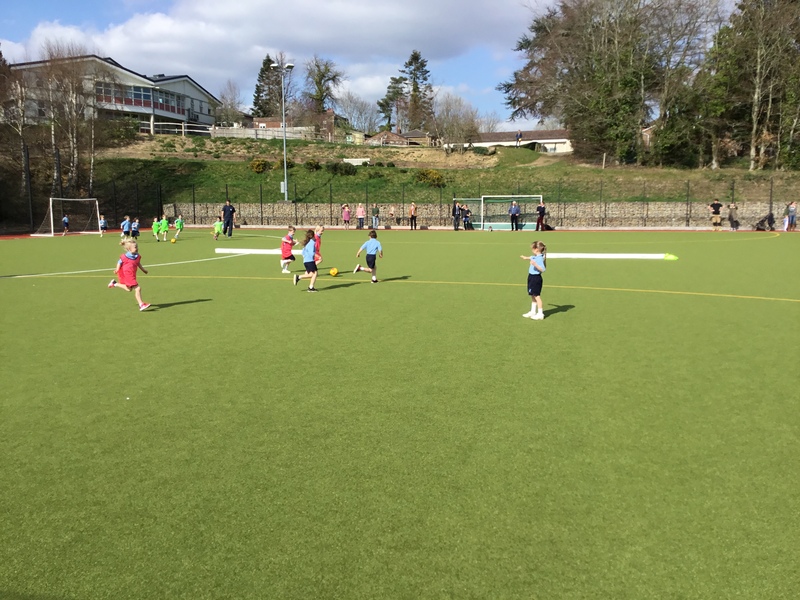 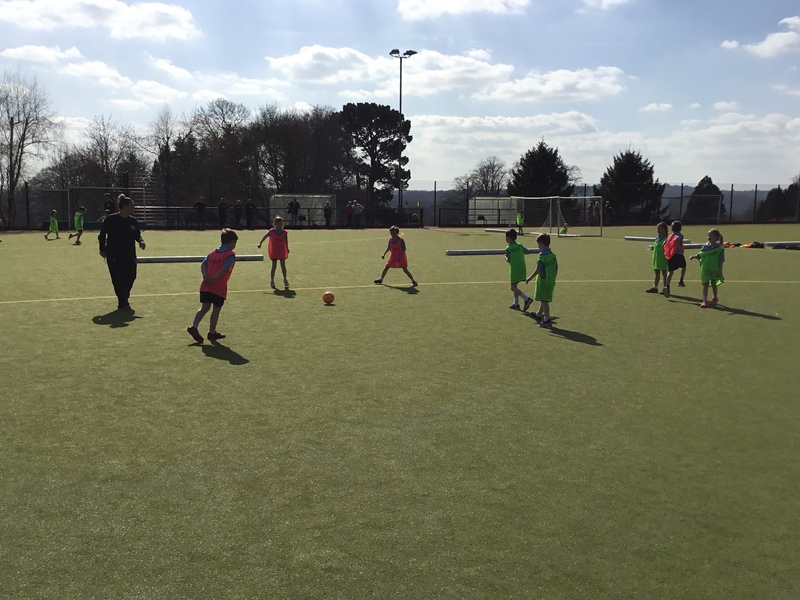 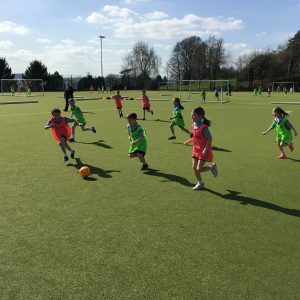 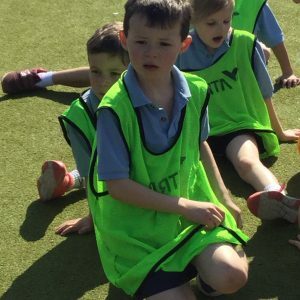 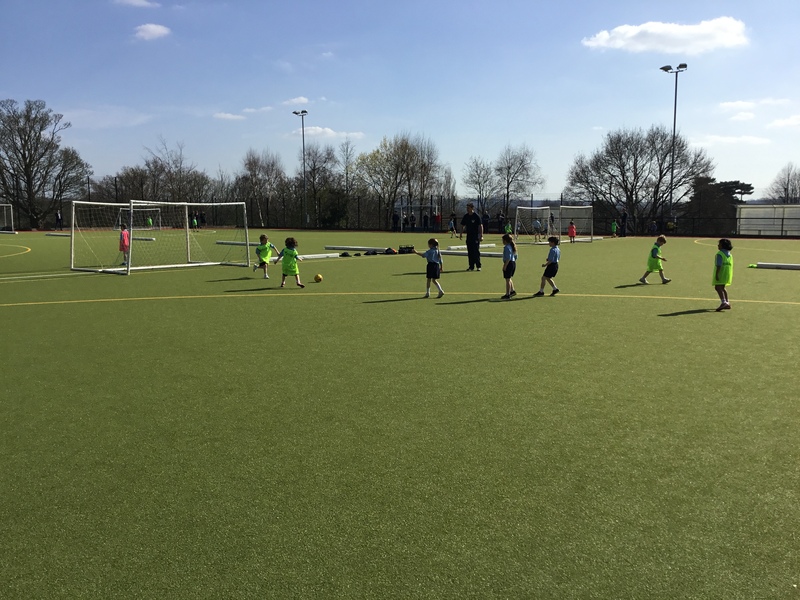 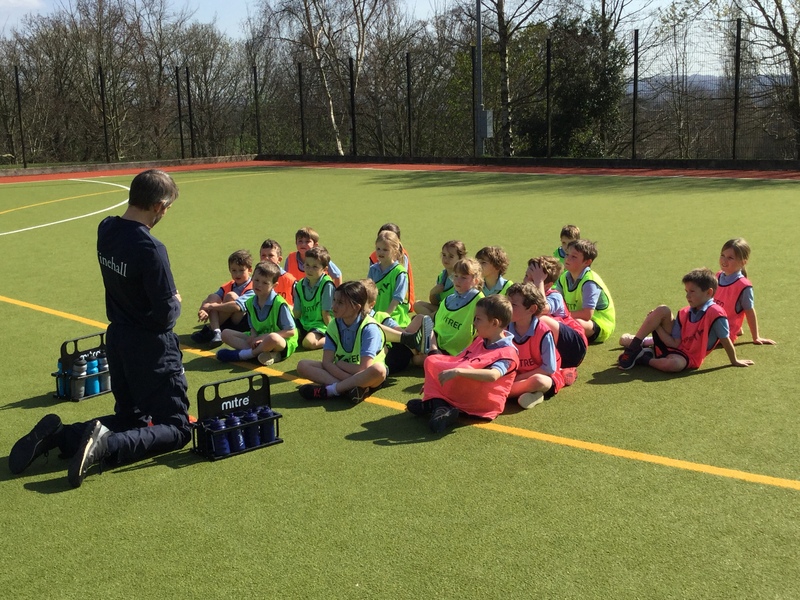 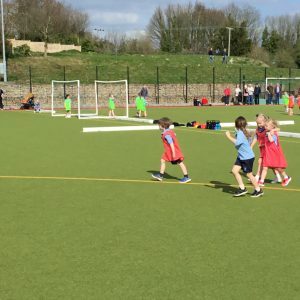 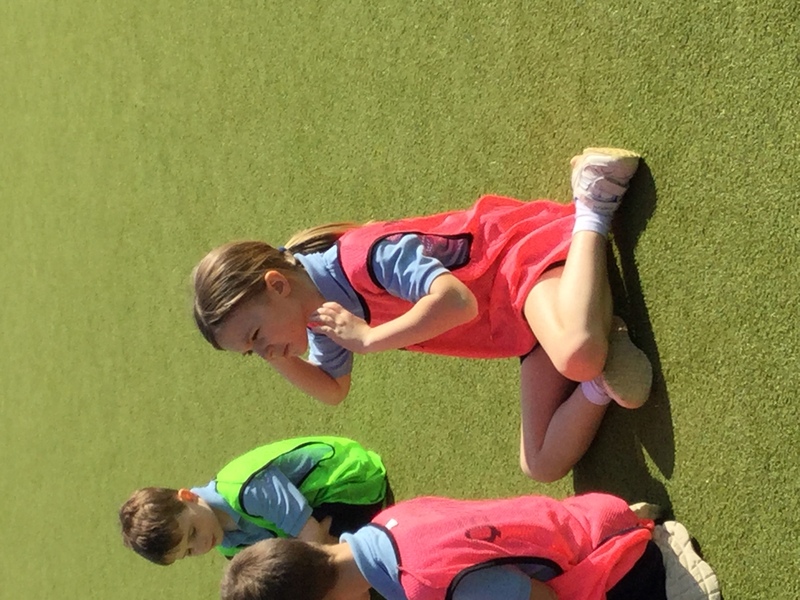 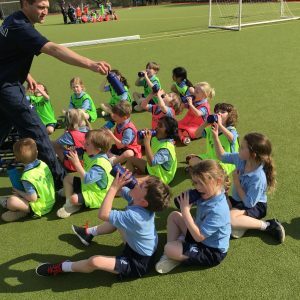 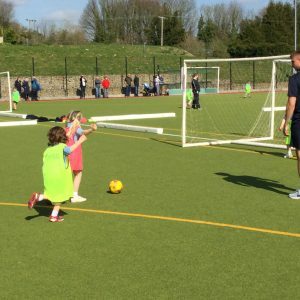 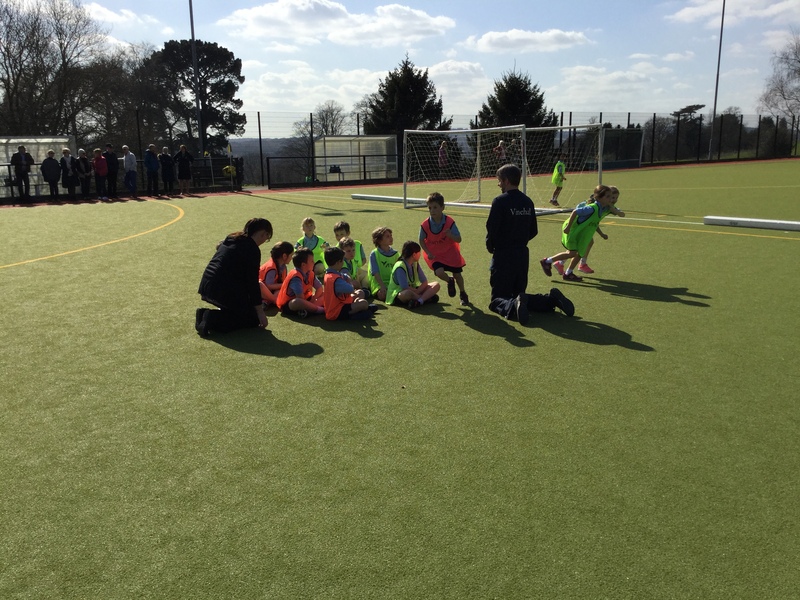 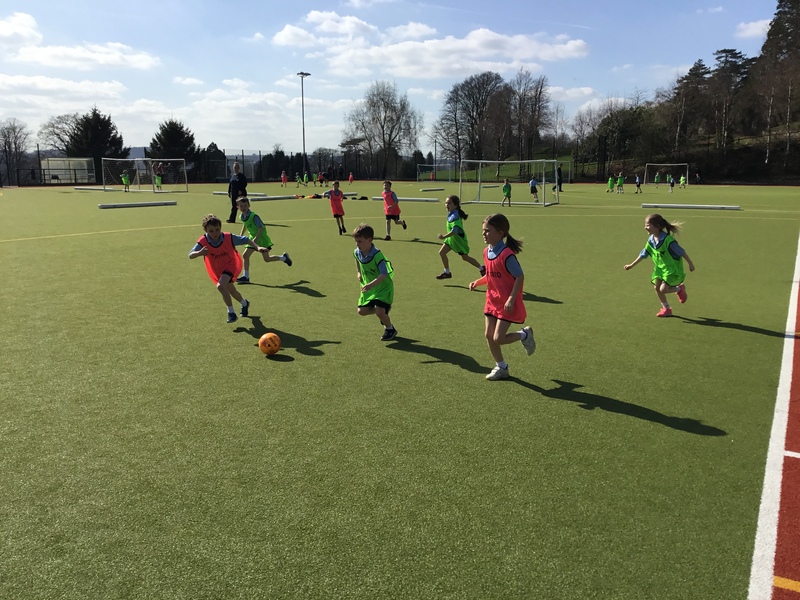 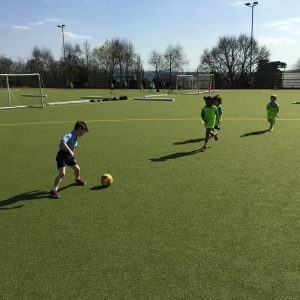 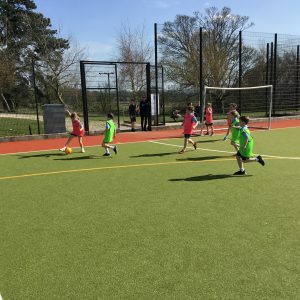 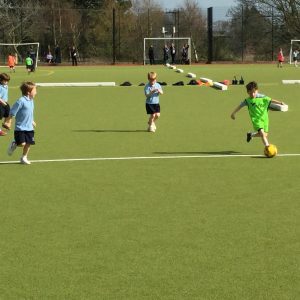 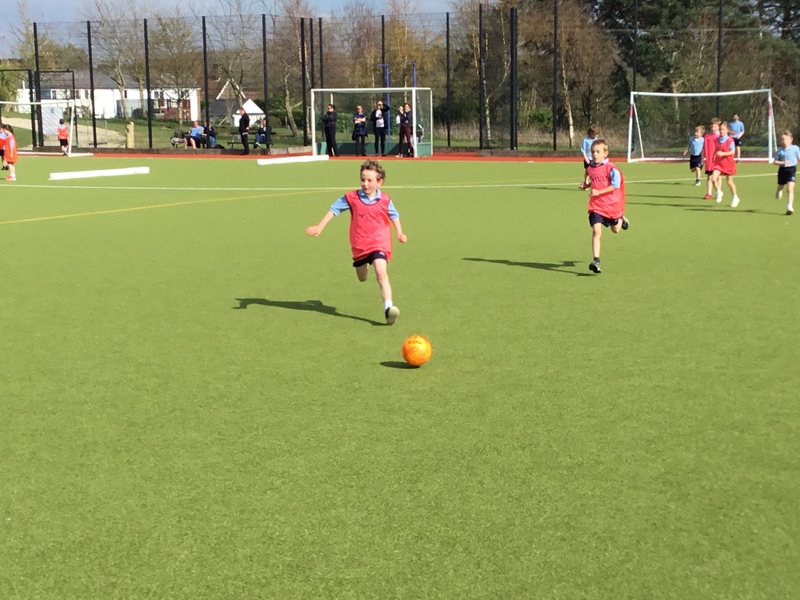 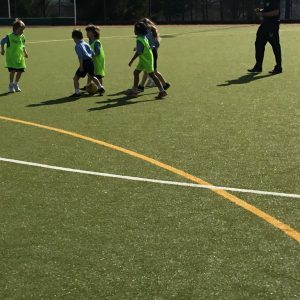 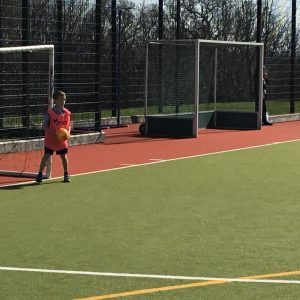 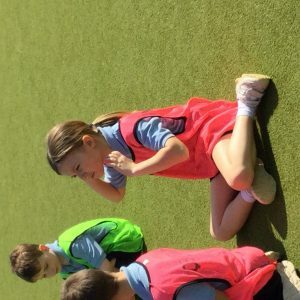 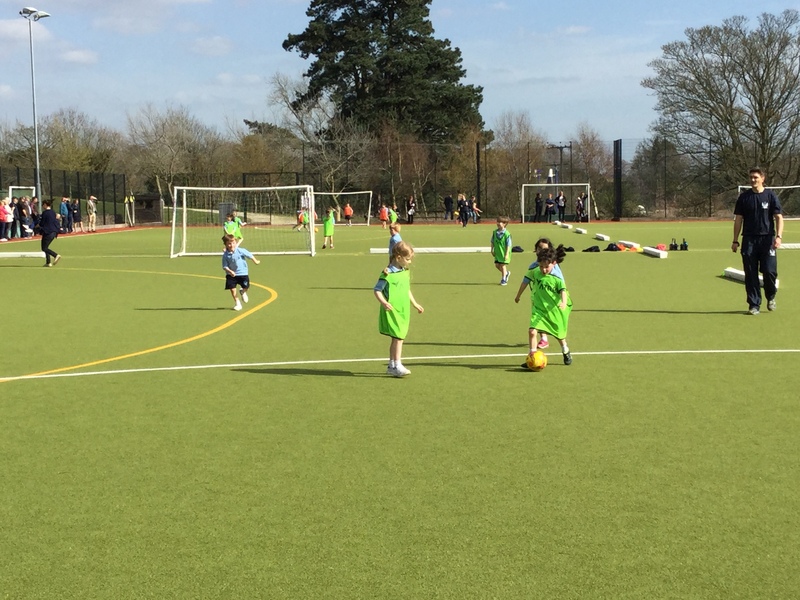 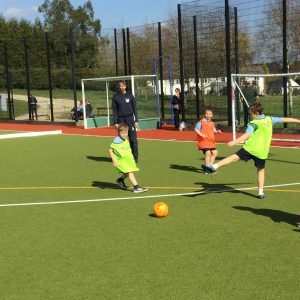 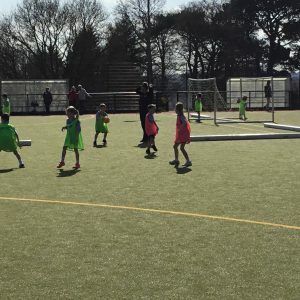 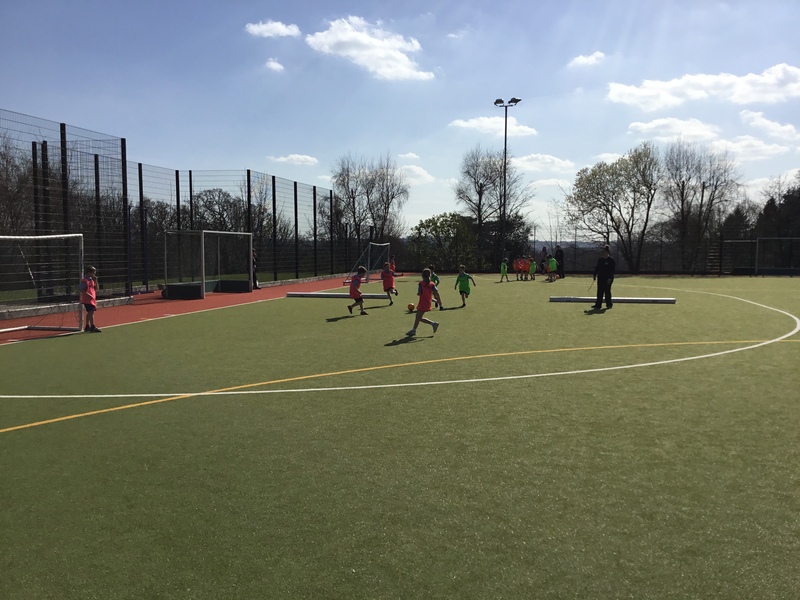 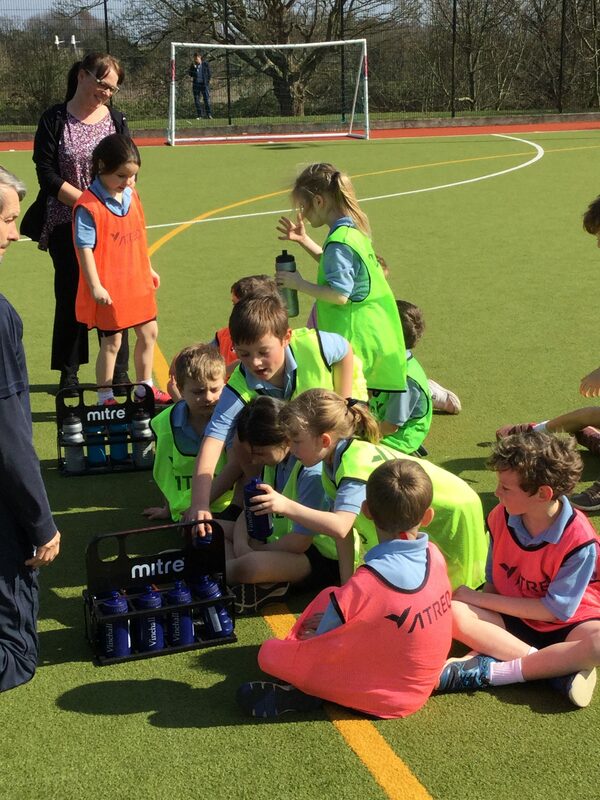 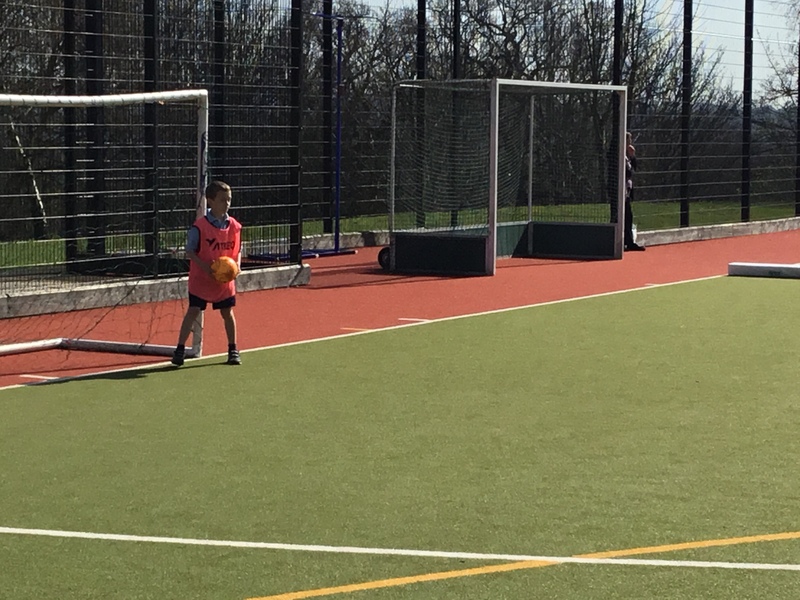 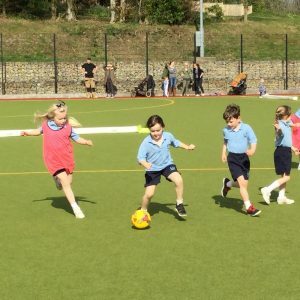 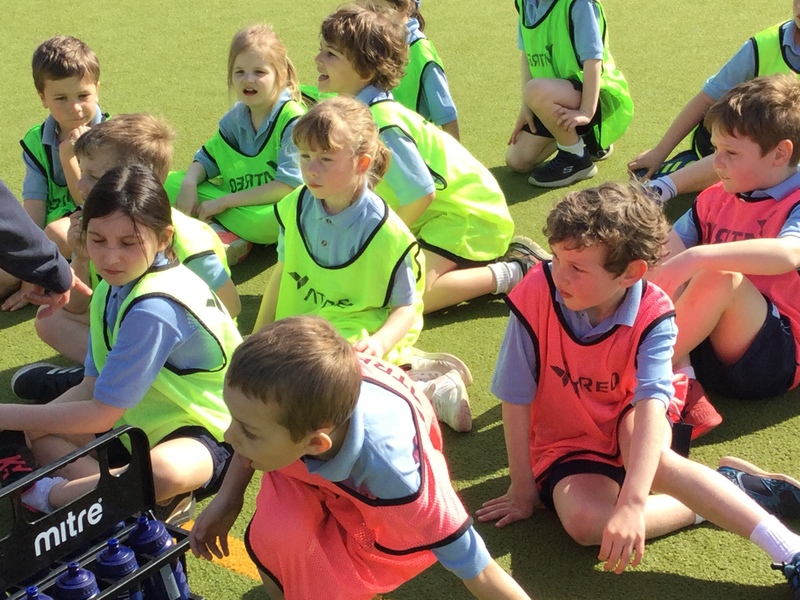 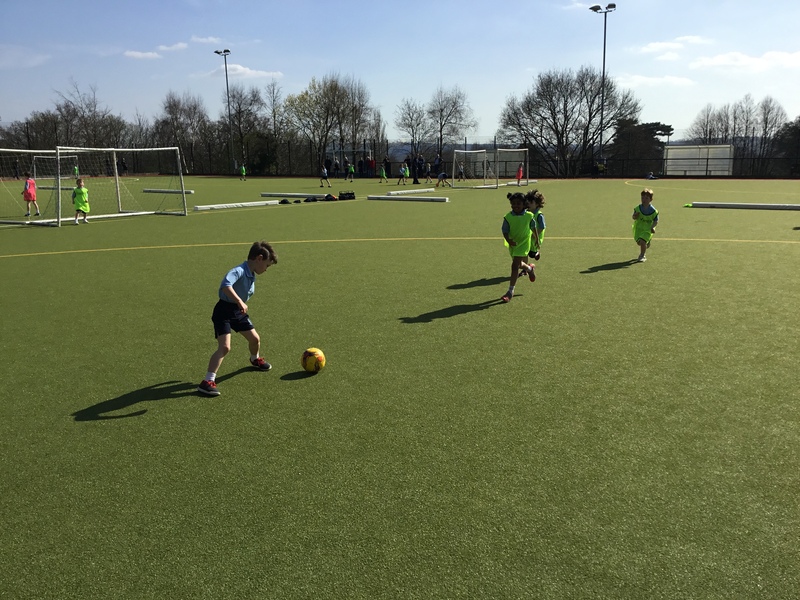 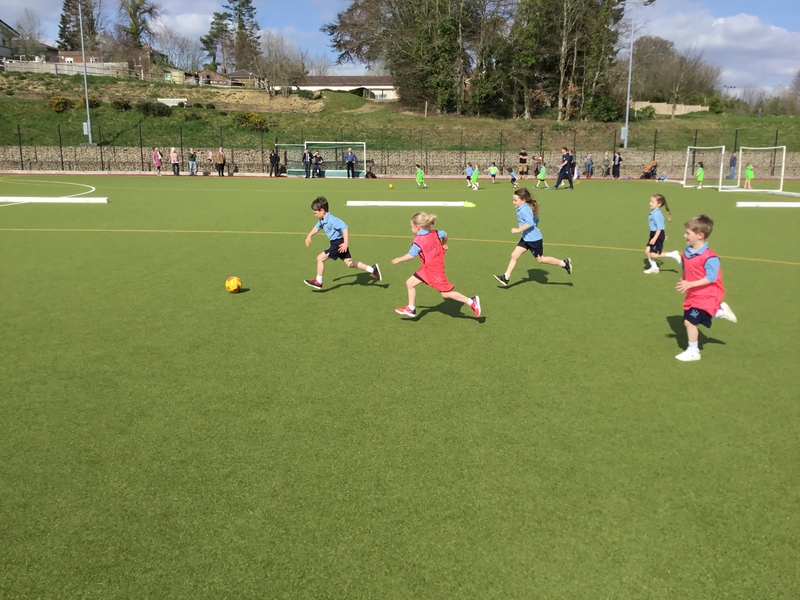 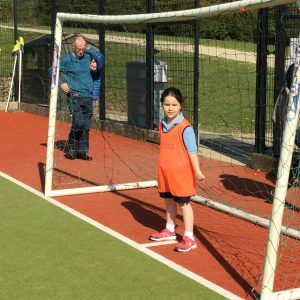 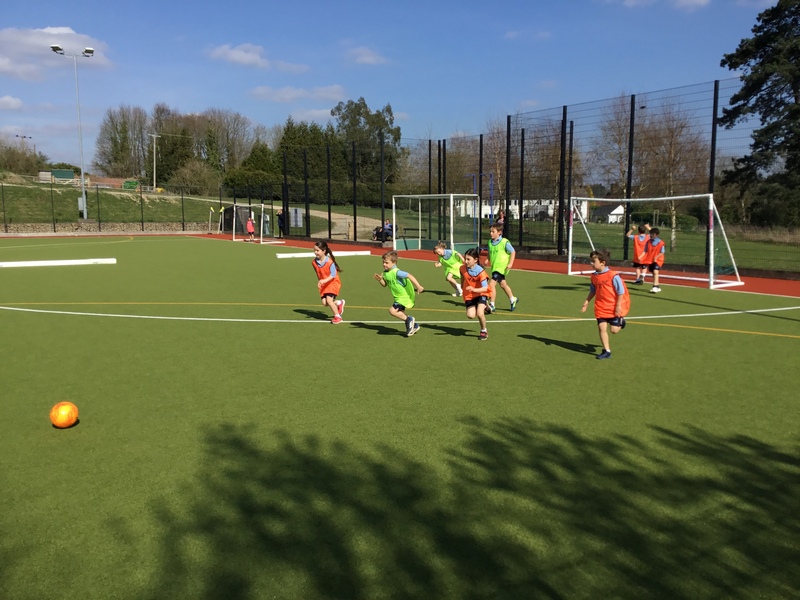 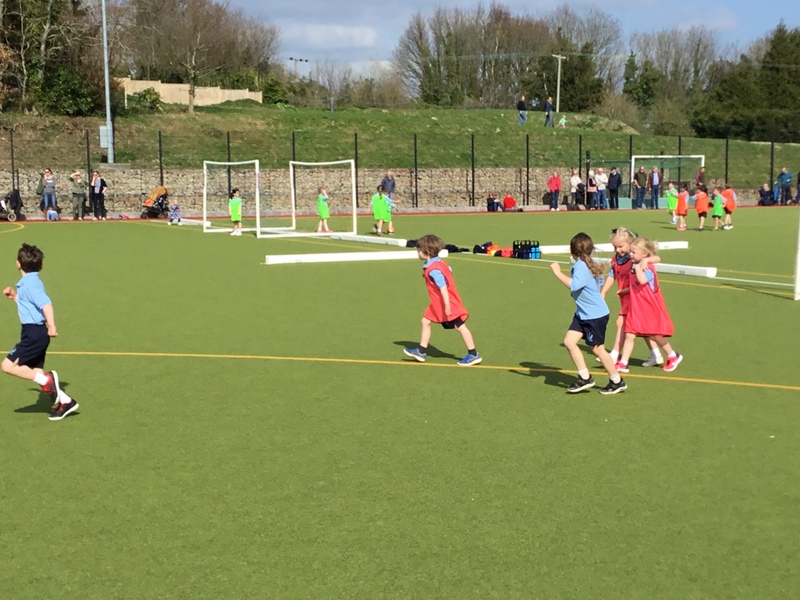 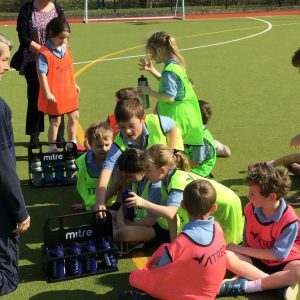 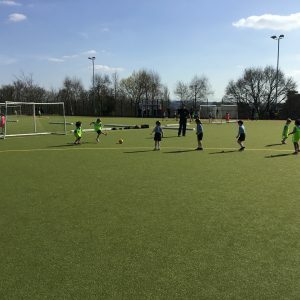 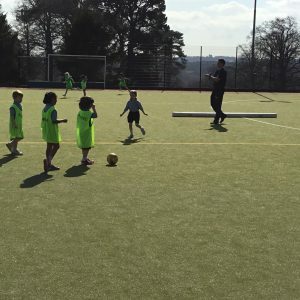 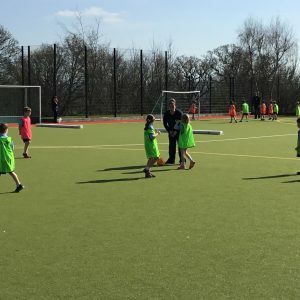 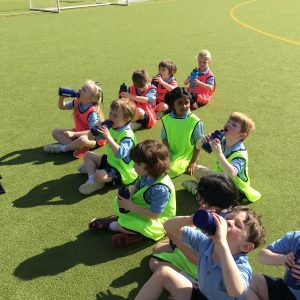 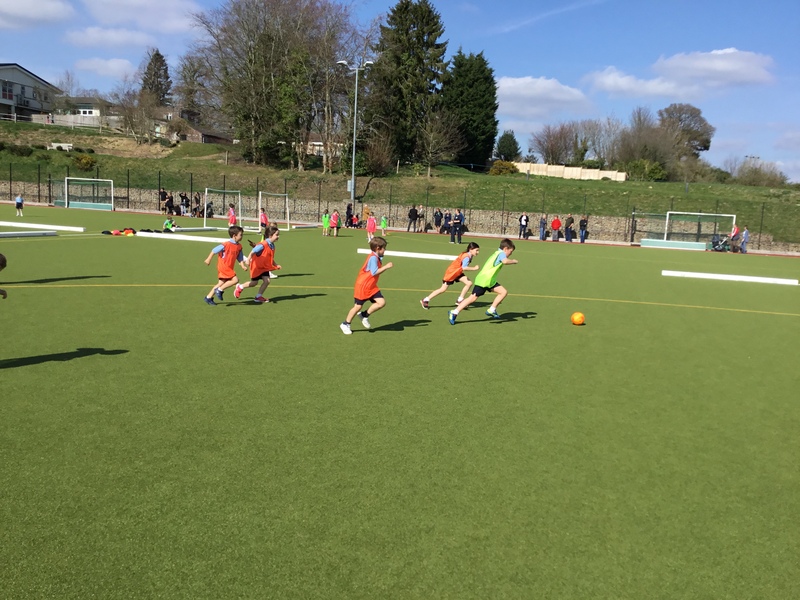 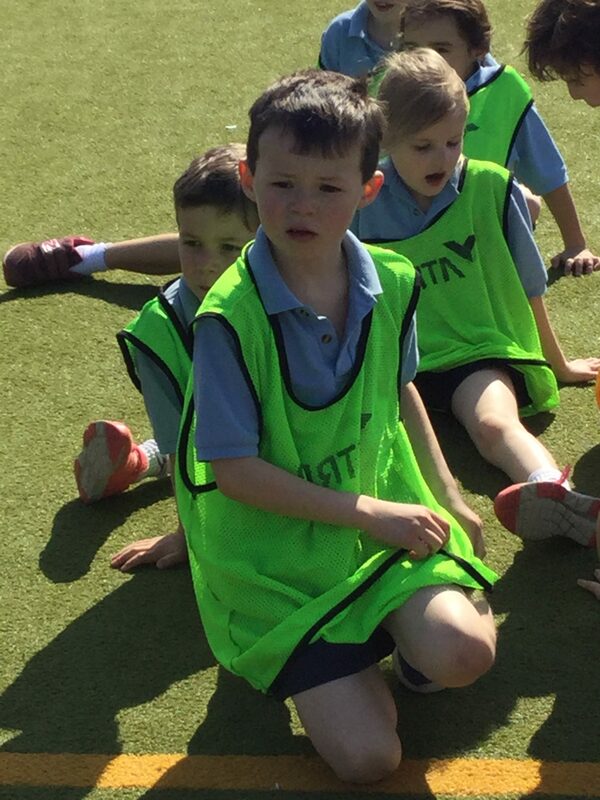 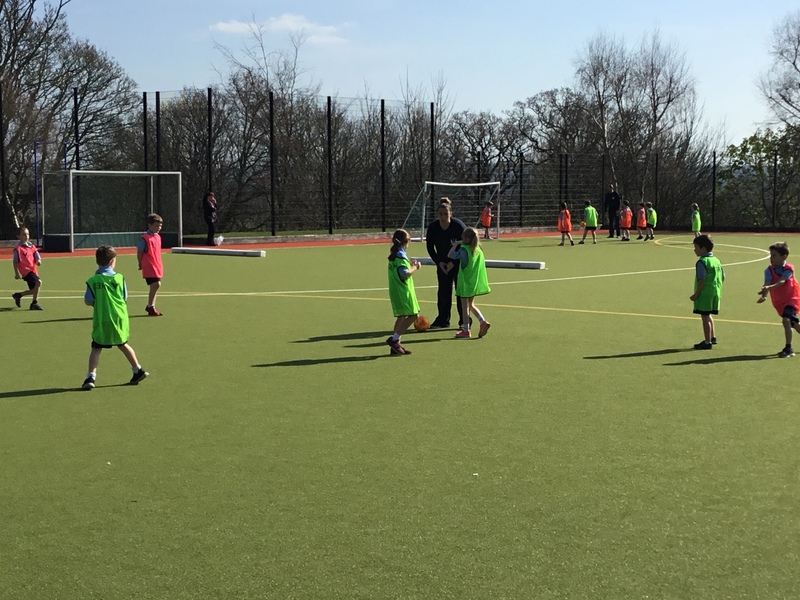 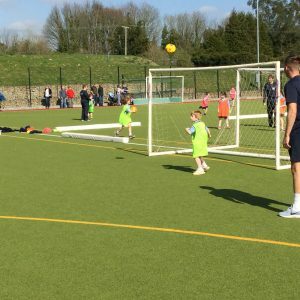 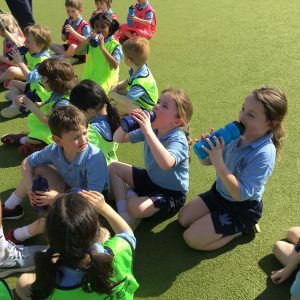 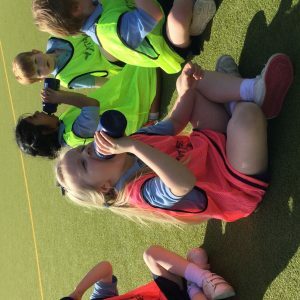 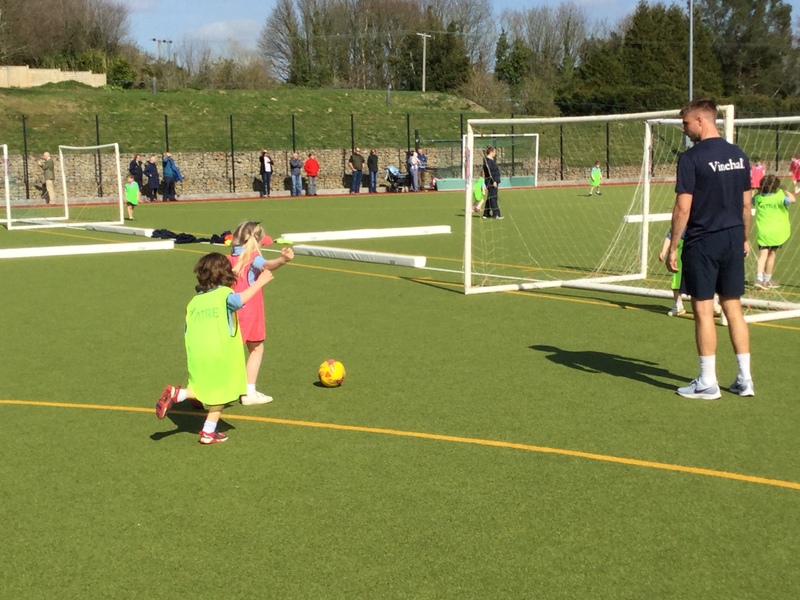 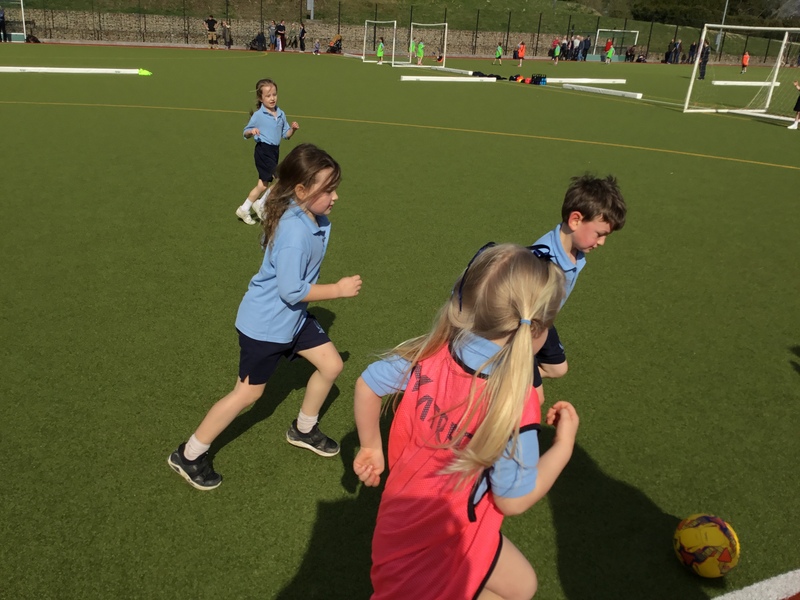 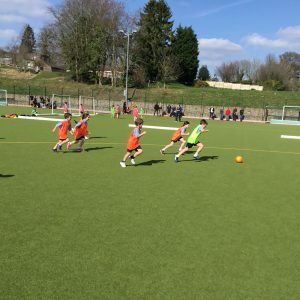 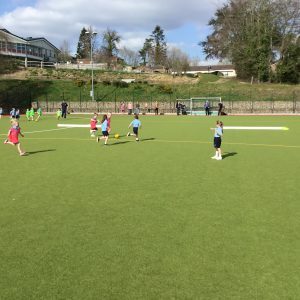 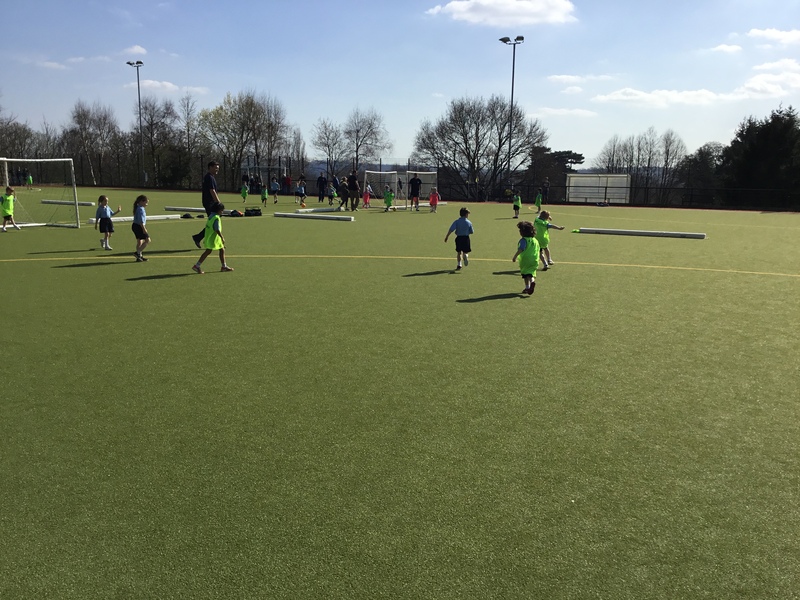 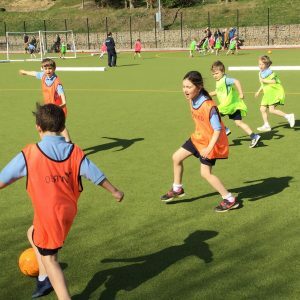 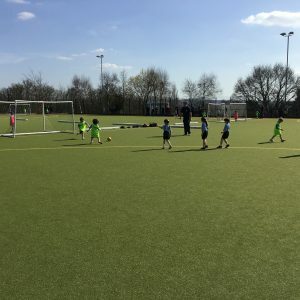 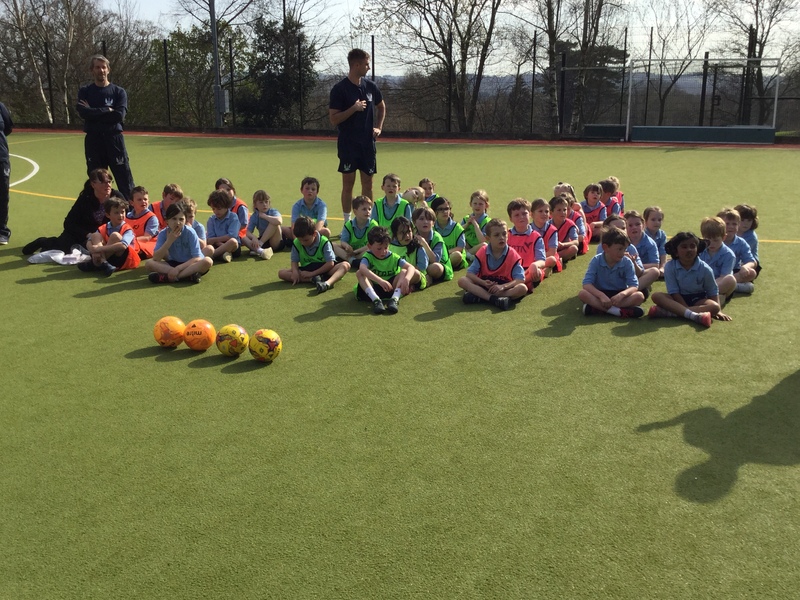 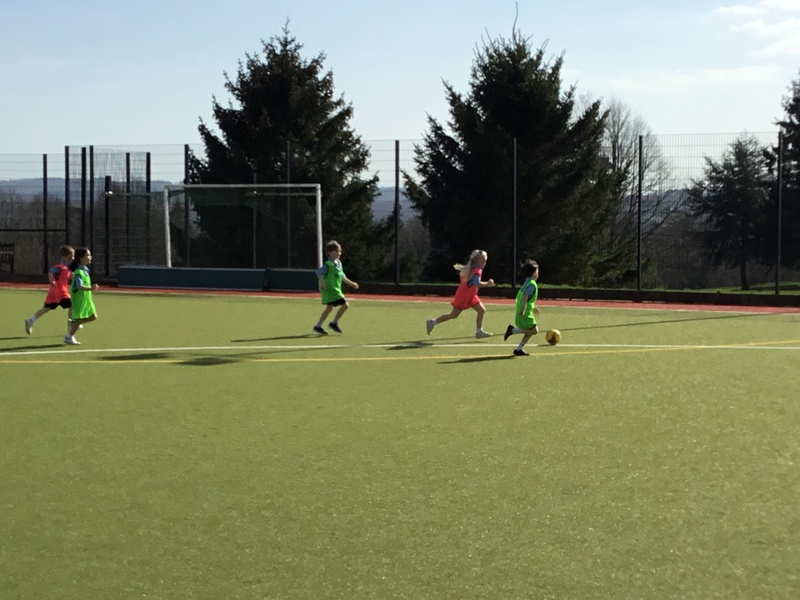 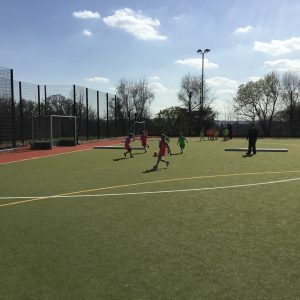 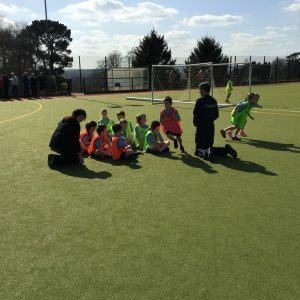 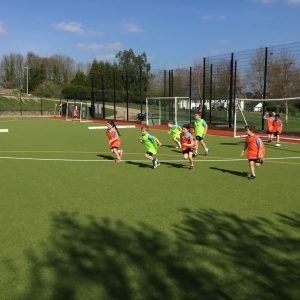 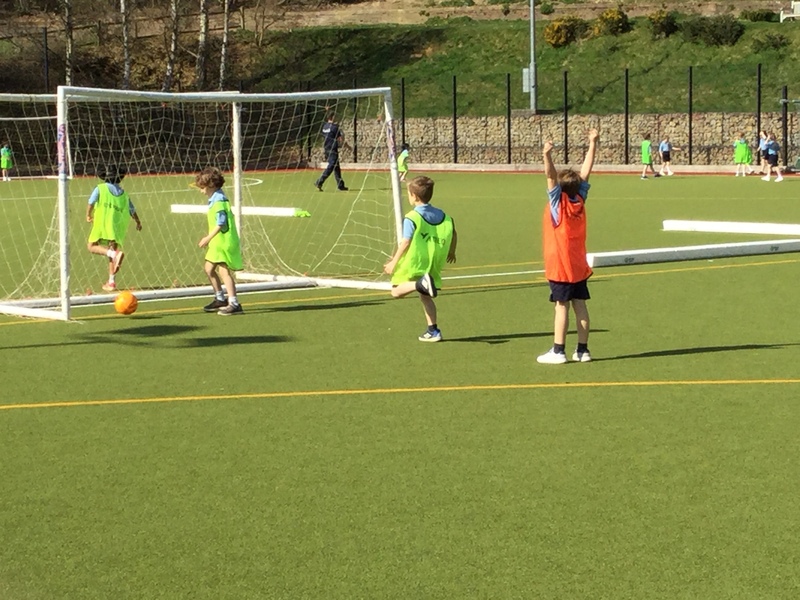 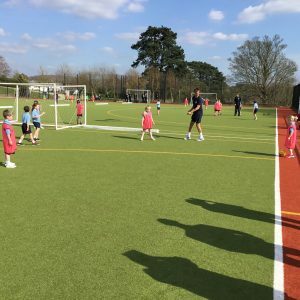 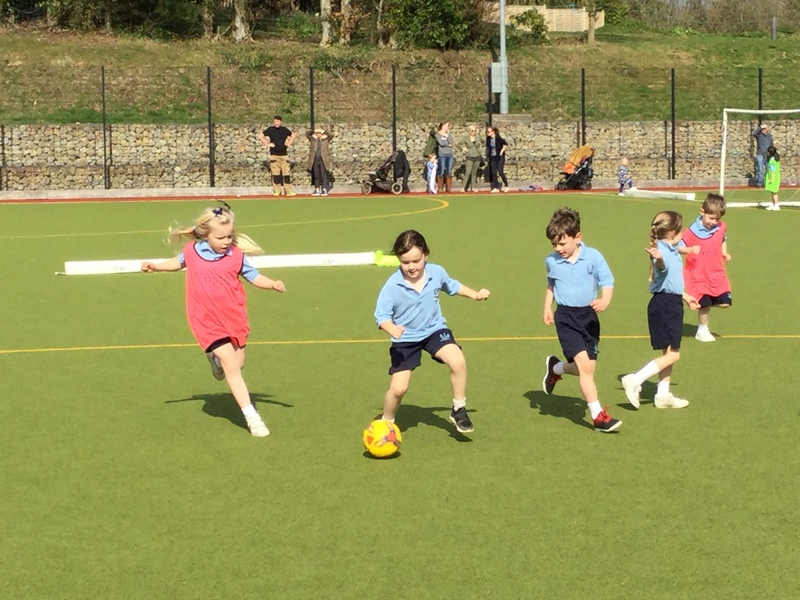 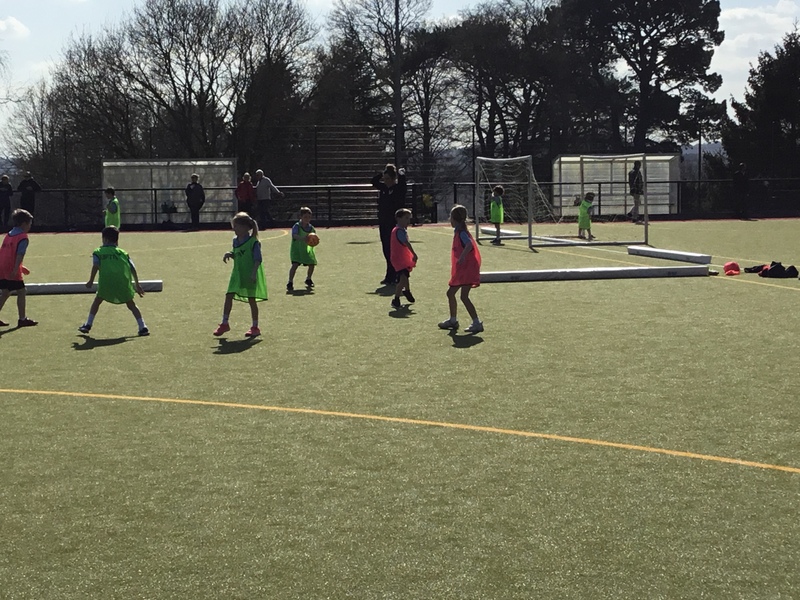 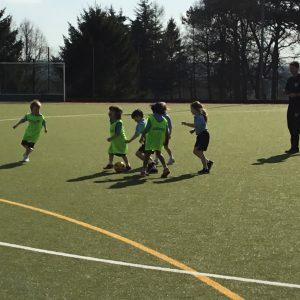 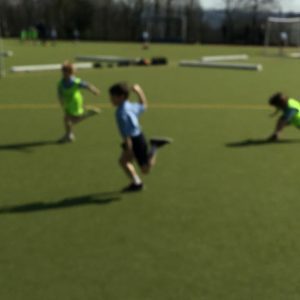 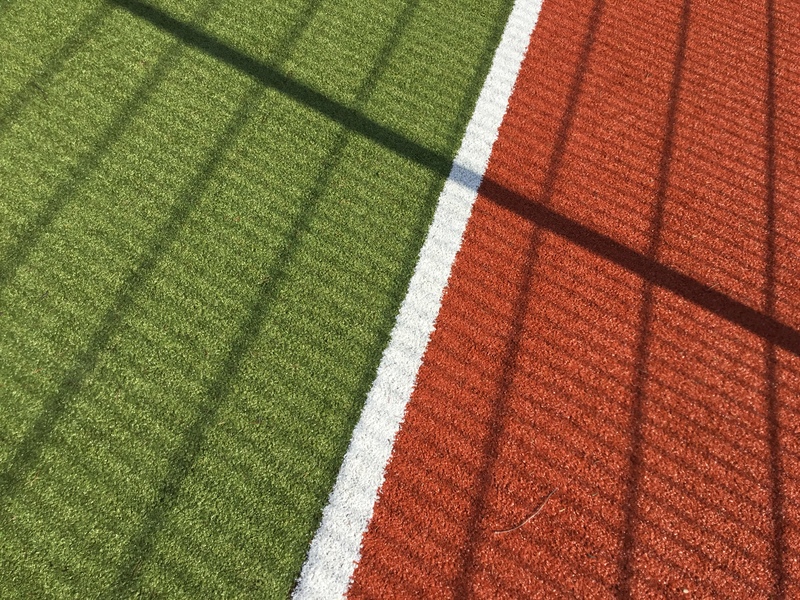 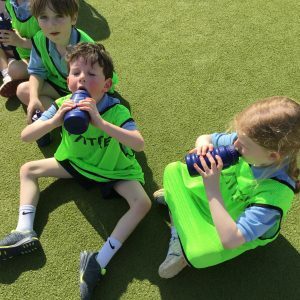 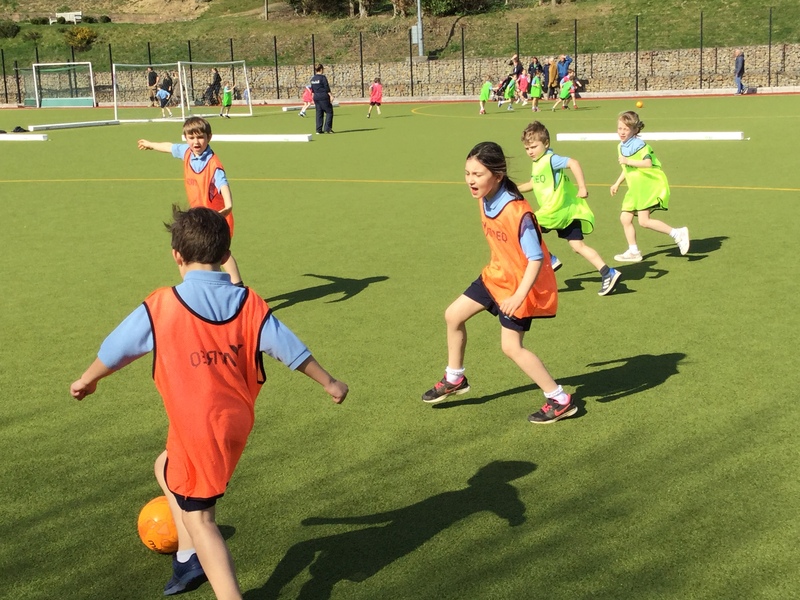 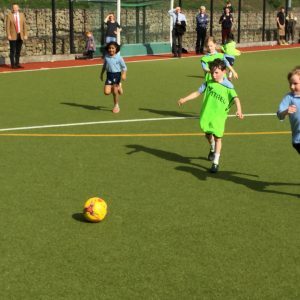 The glorious weather set the scene for an afternoon of football fun, Reception, Year 1 and Year 2 all took part in a mini football tournament on the astro turf. 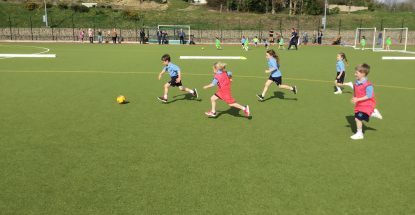 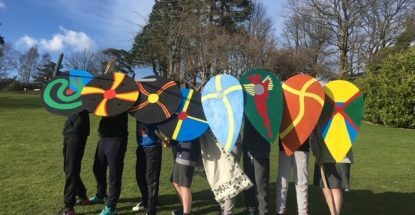 The children were split into mixed teams and the teams rotated to ensure that all of the teams play each other. 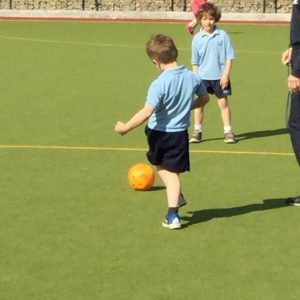 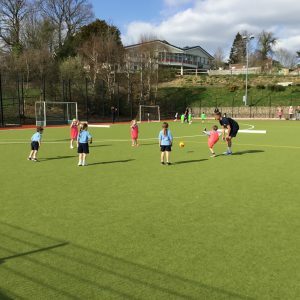 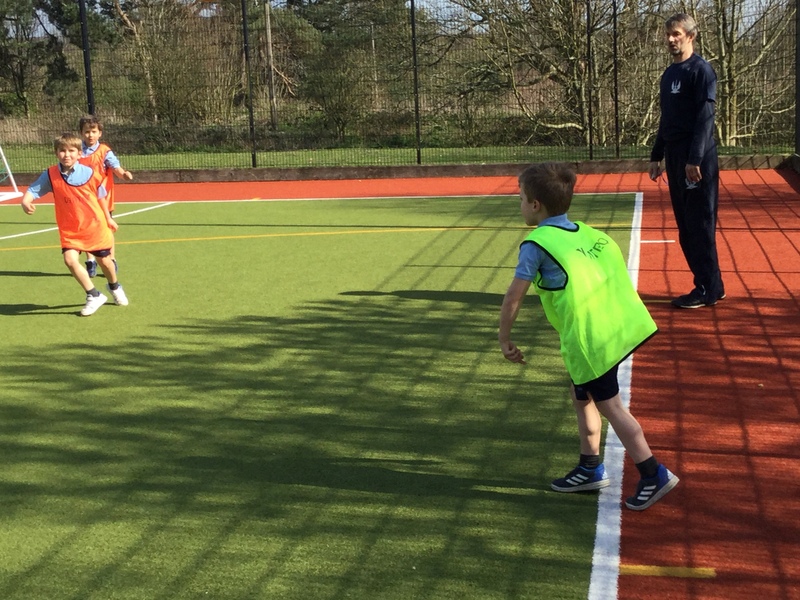 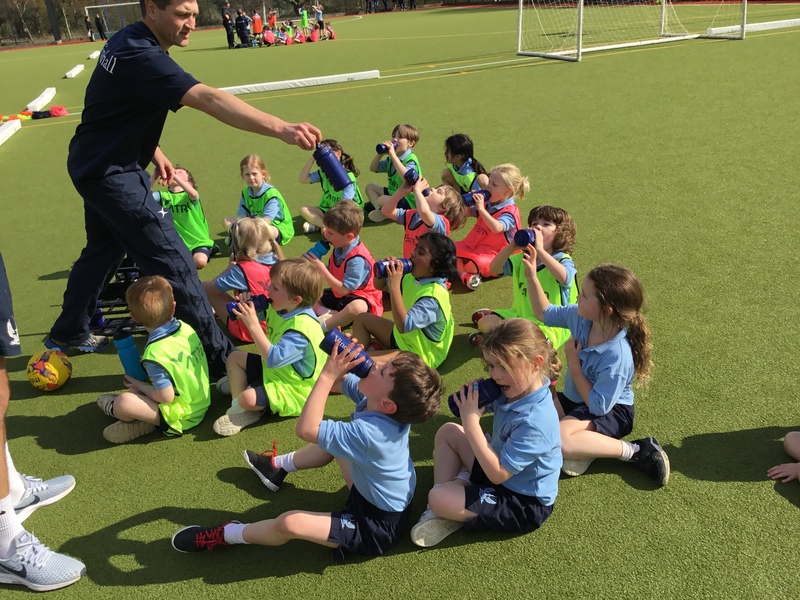 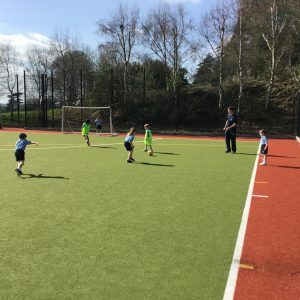 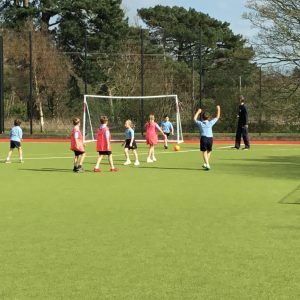 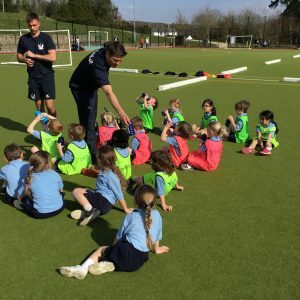 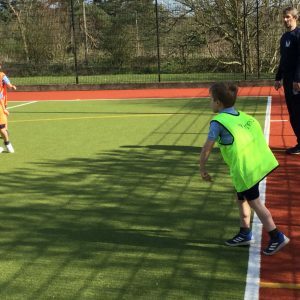 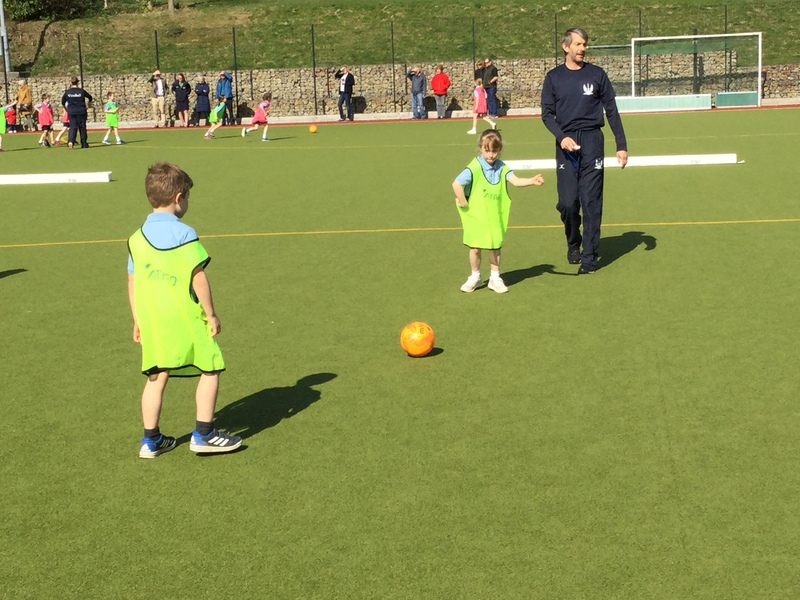 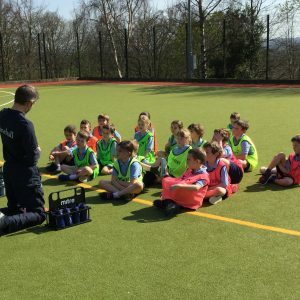 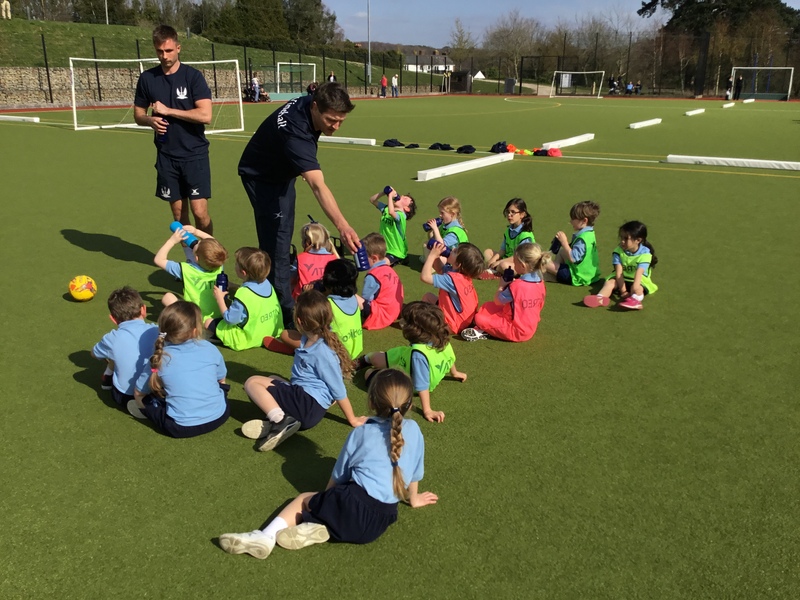 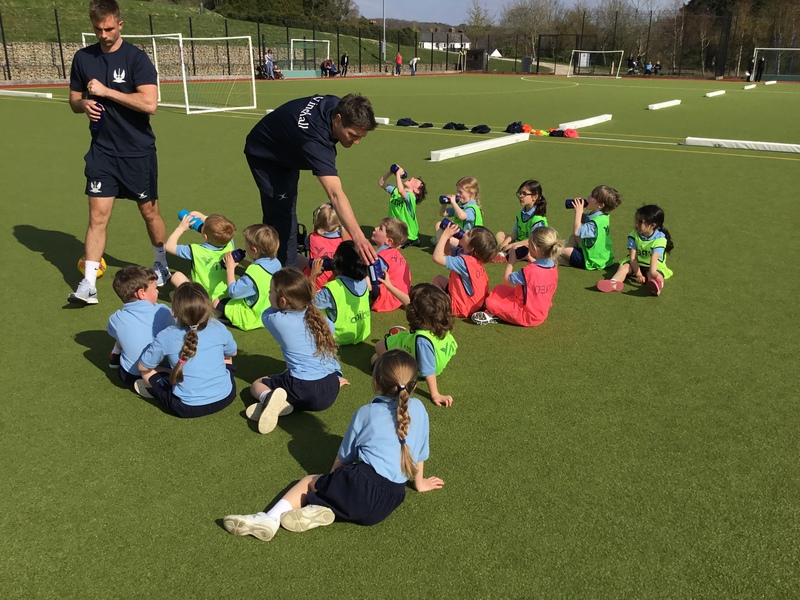 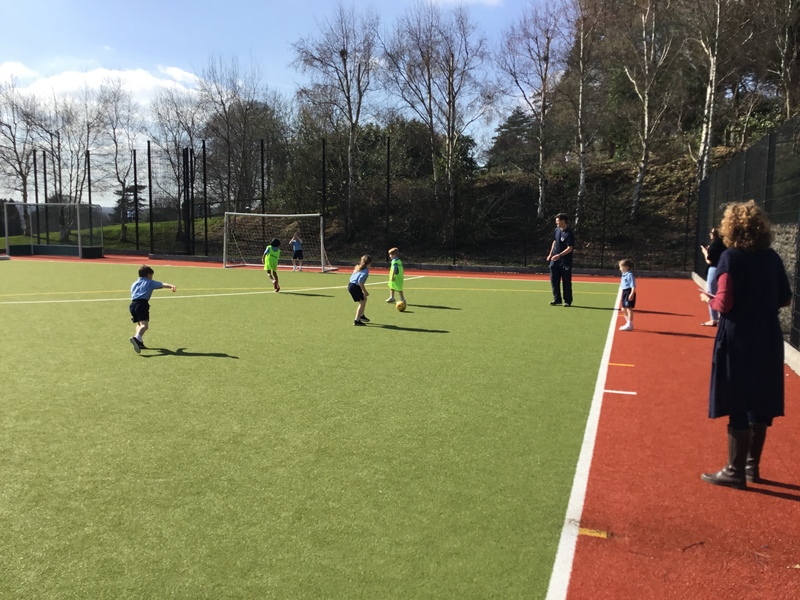 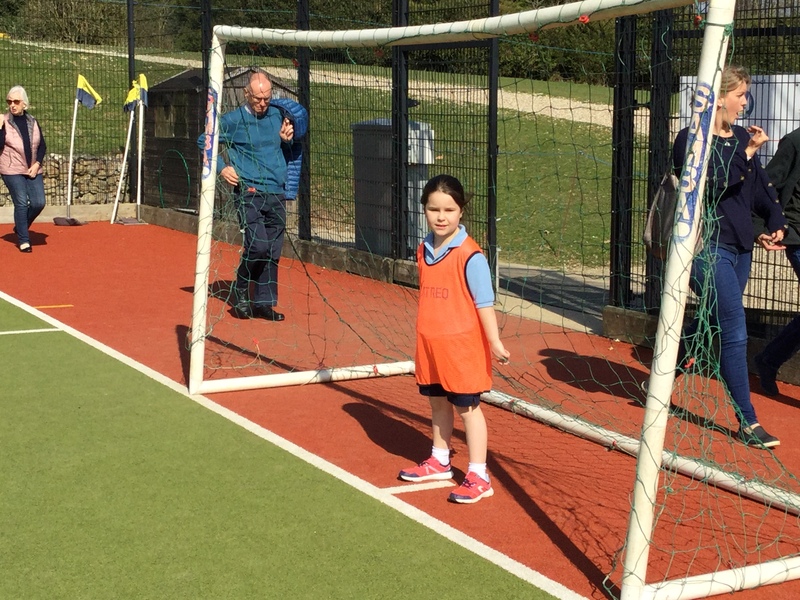 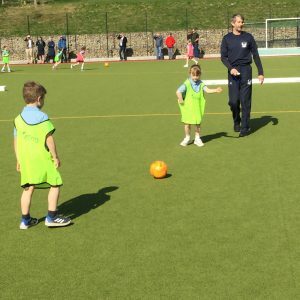 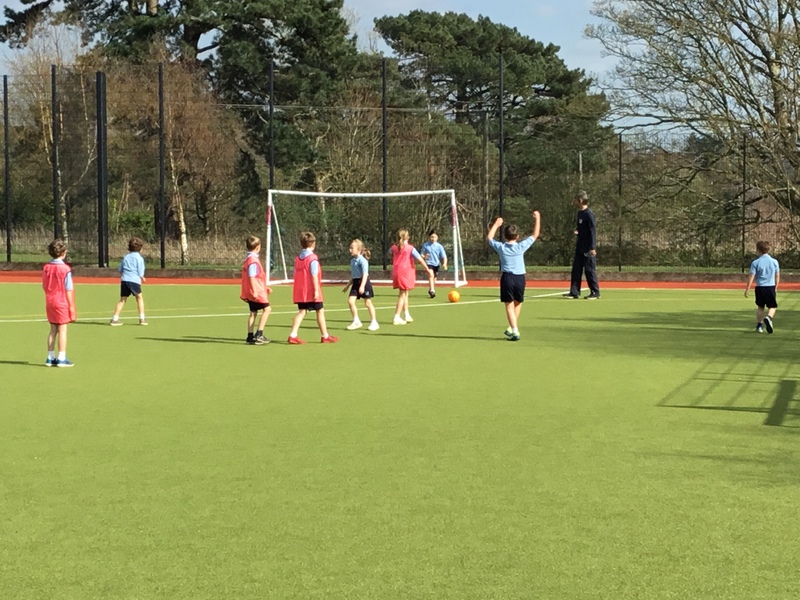 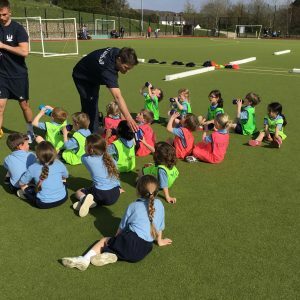 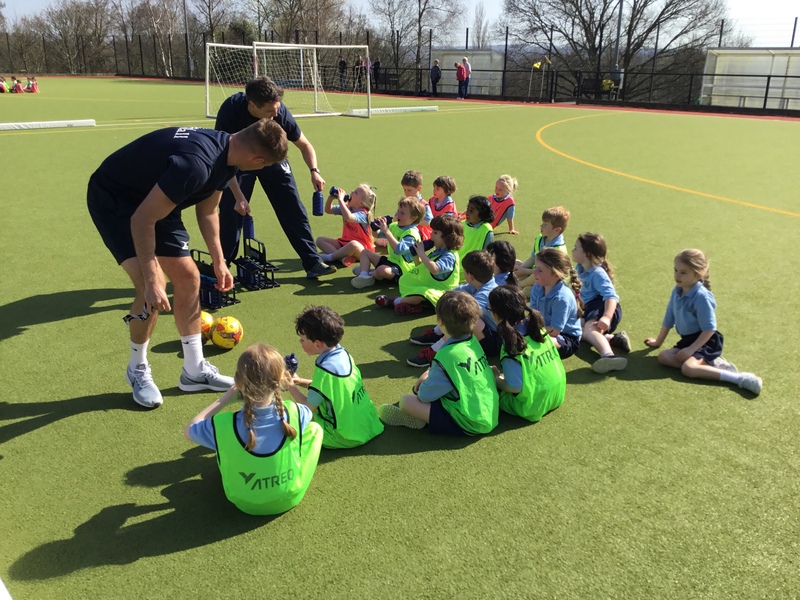 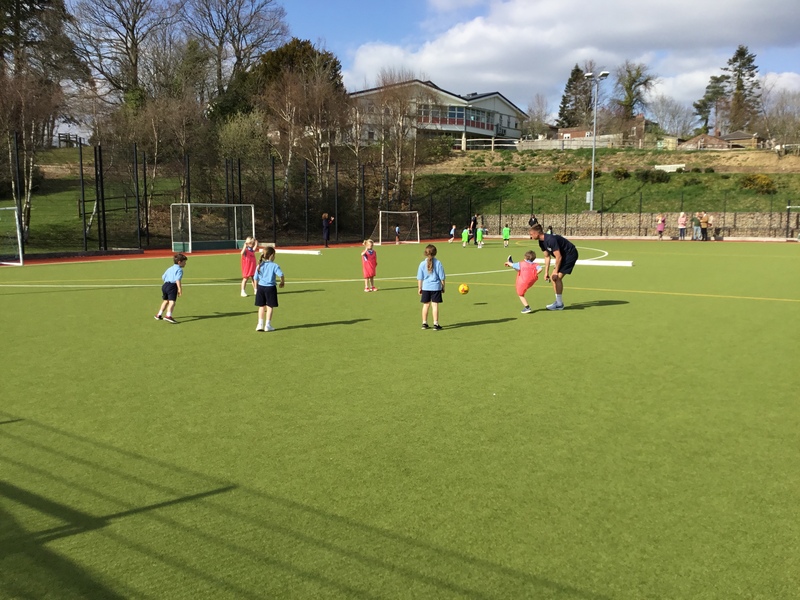 Mr Newman and Mr Attwood teach Pre-Prep for ball skills and all of the children enjoy their weekly sessions, Mr McKinnon and Mrs Percy-White joined in to referee the matches and organise the afternoon. 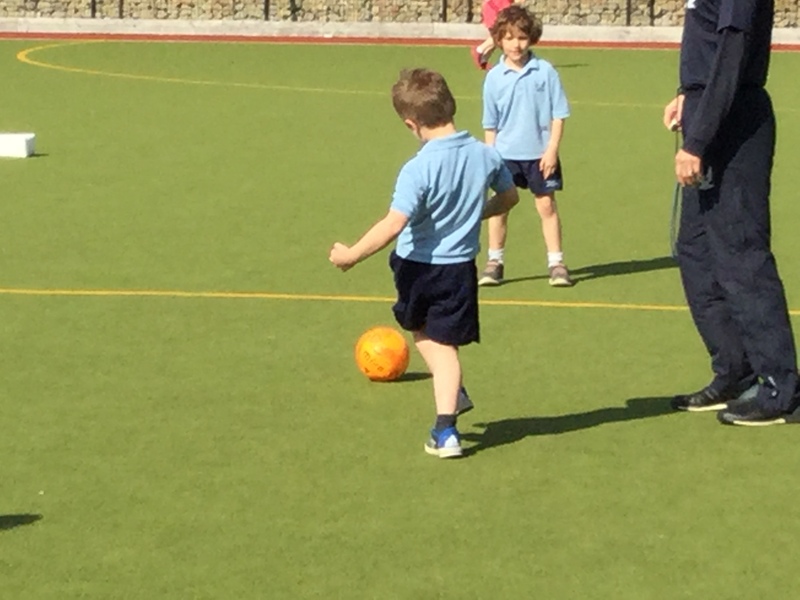 The children showcased some of the skills they have learnt in ball skills across the term and worked together just like Billy Bee. 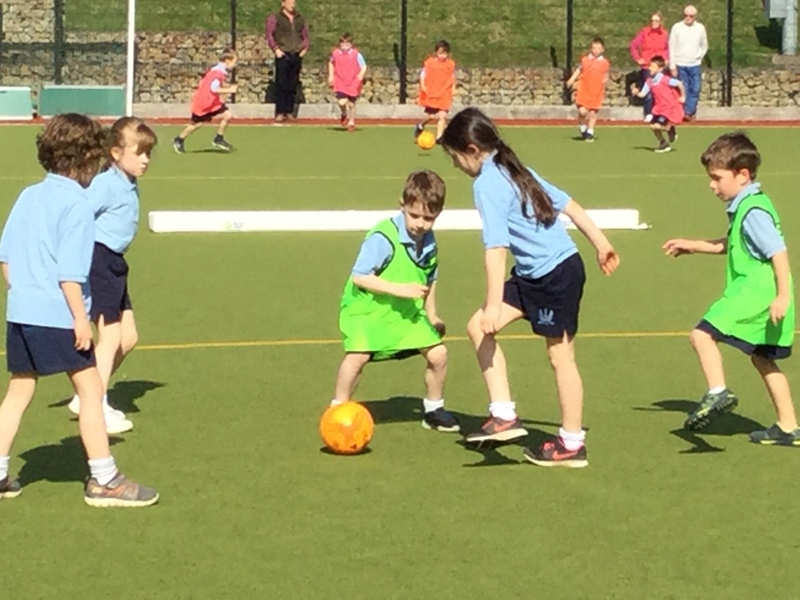 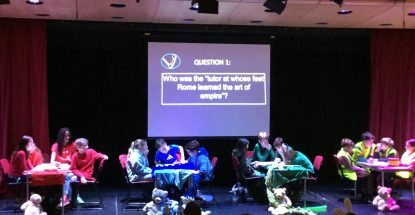 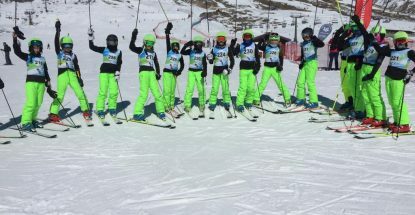 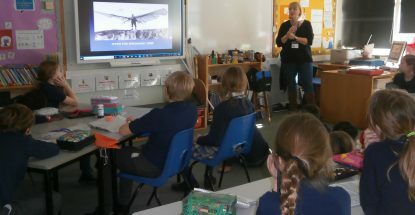 The team work and encouragement shown by the children was fantastic to see and meant that everyone had a lot of fun. 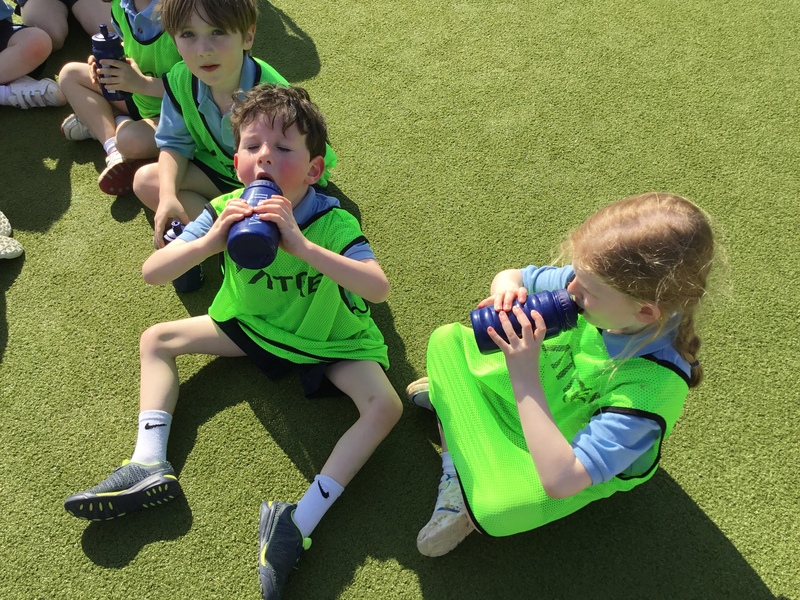 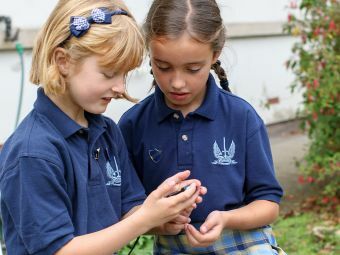 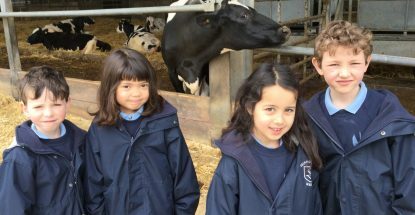 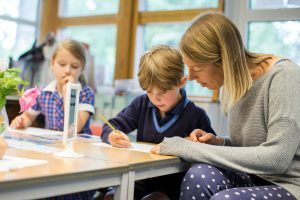 Following the football matches everyone made their way for Match Tea on the terrace, this was a fantastic new experience for the Pre-Prep children and one they would all like to repeat. 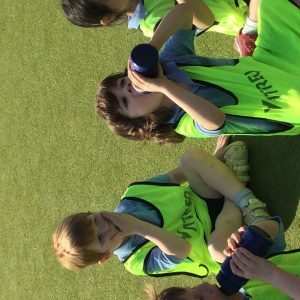 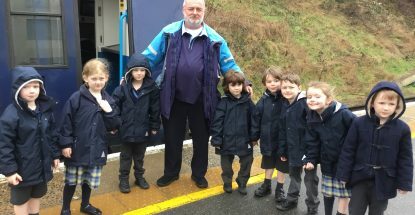 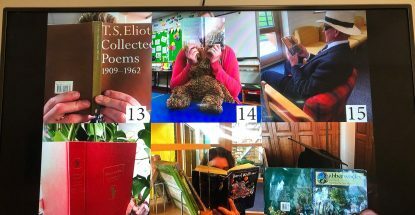 Although some of the children have attended match tea with siblings it was lovely to replicate this with the younger children and gave them all a huge sense of comradery. 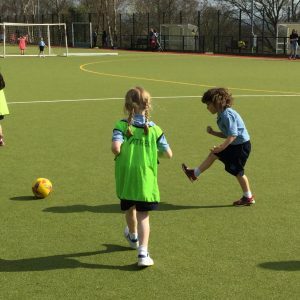 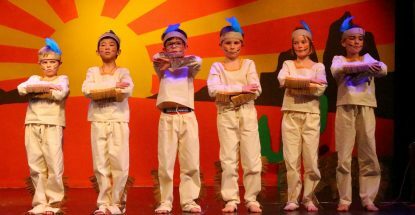 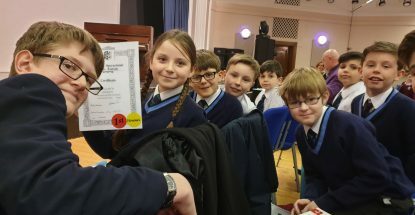 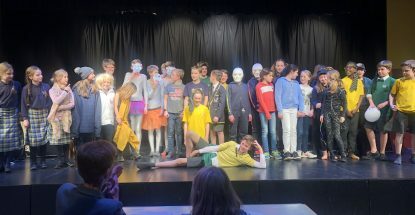 The children all played extremely well and we hope that all of the parents and family members that came to support enjoyed seeing a little snippet of the children’s skills.